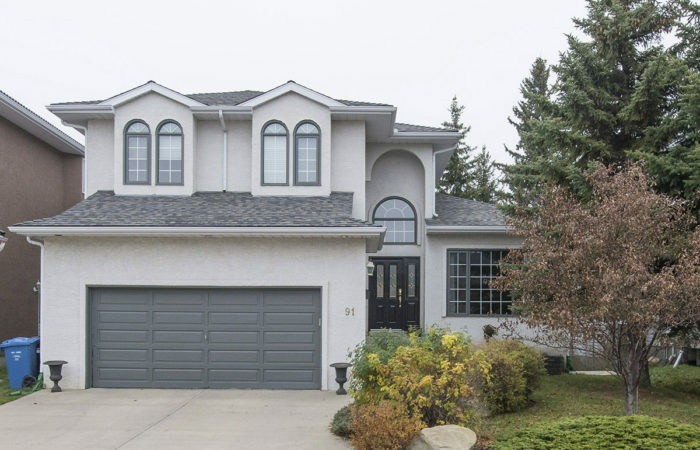 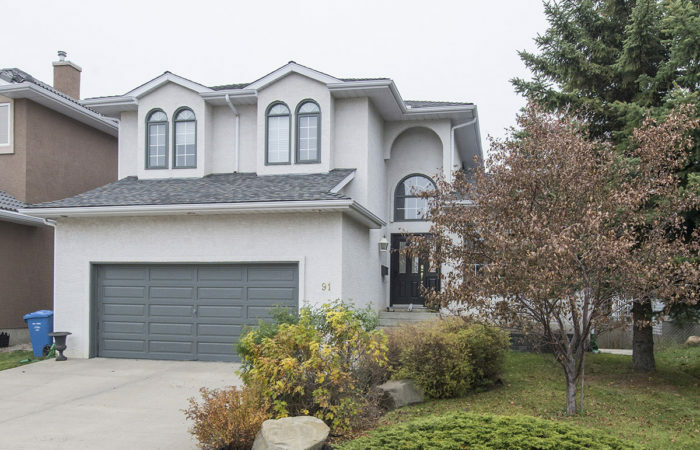 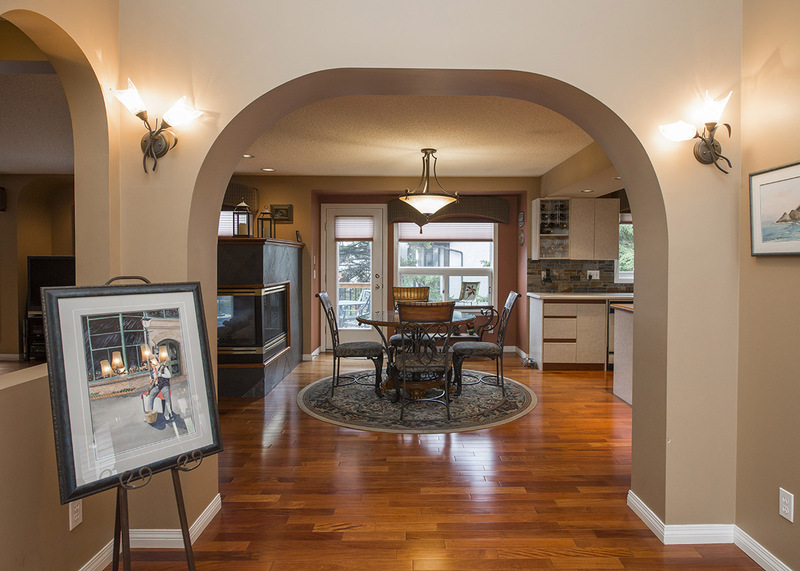 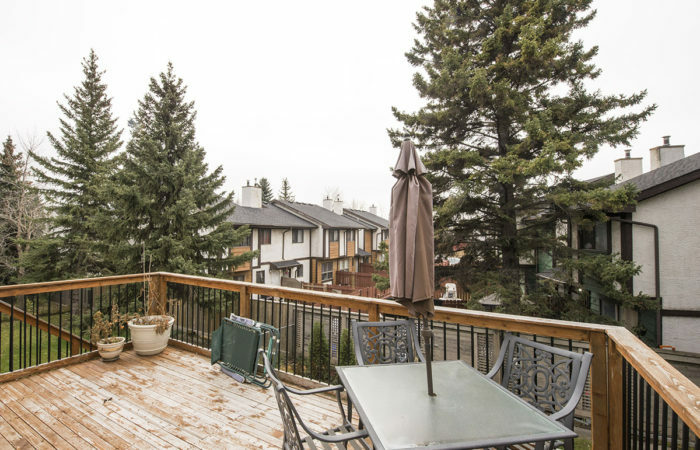 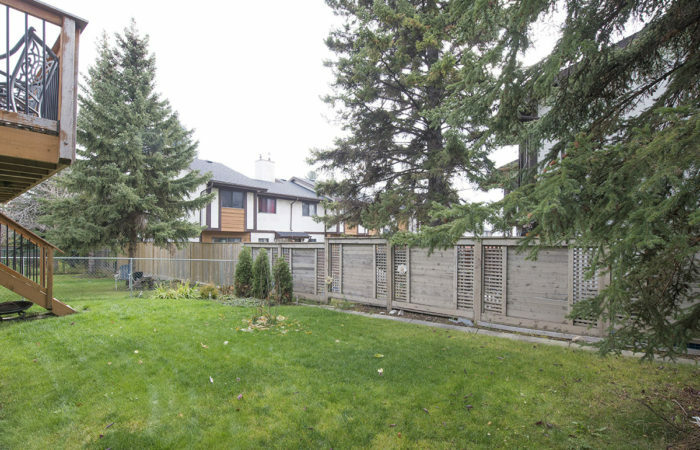 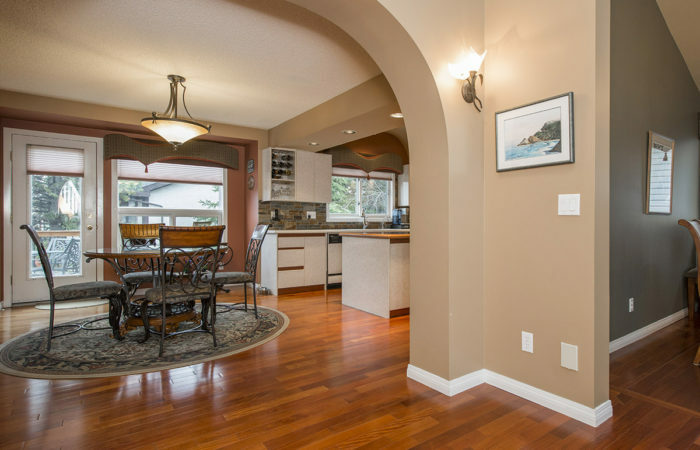 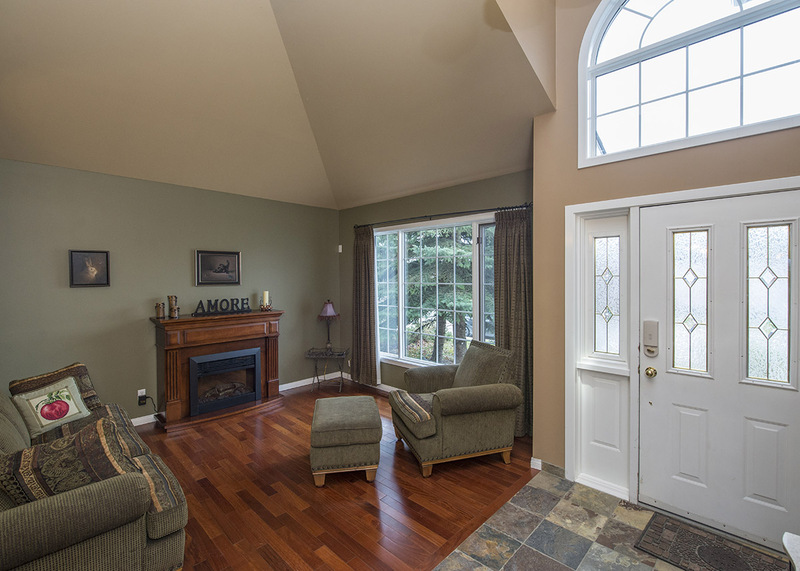 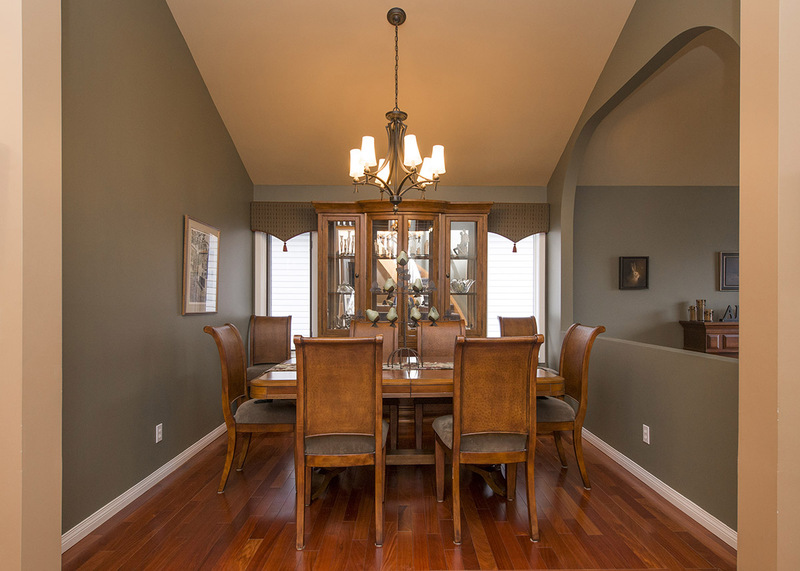 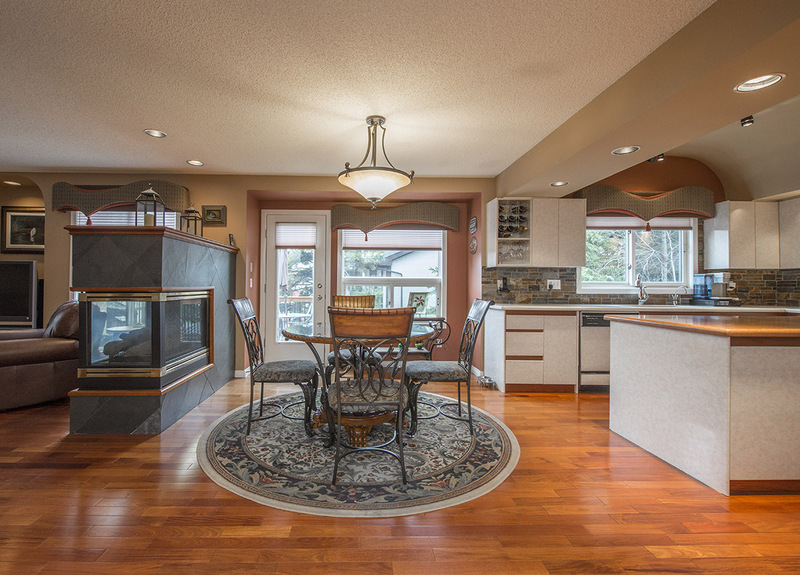 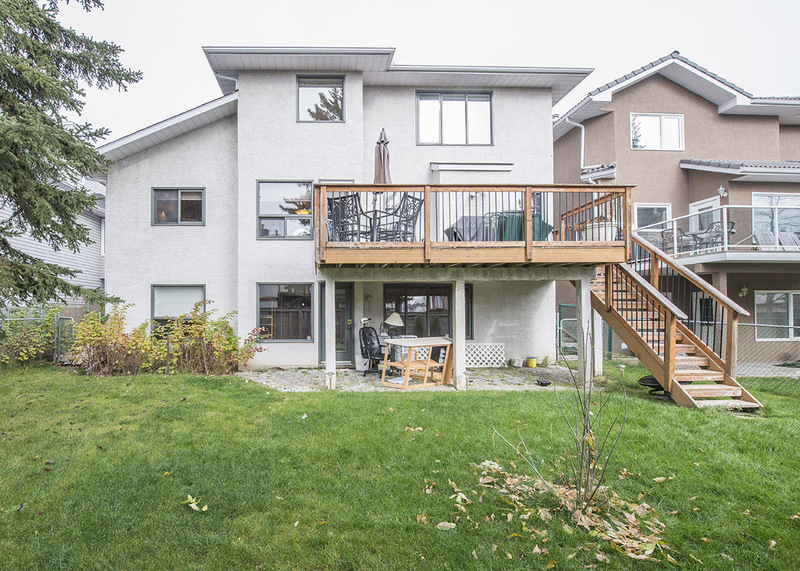 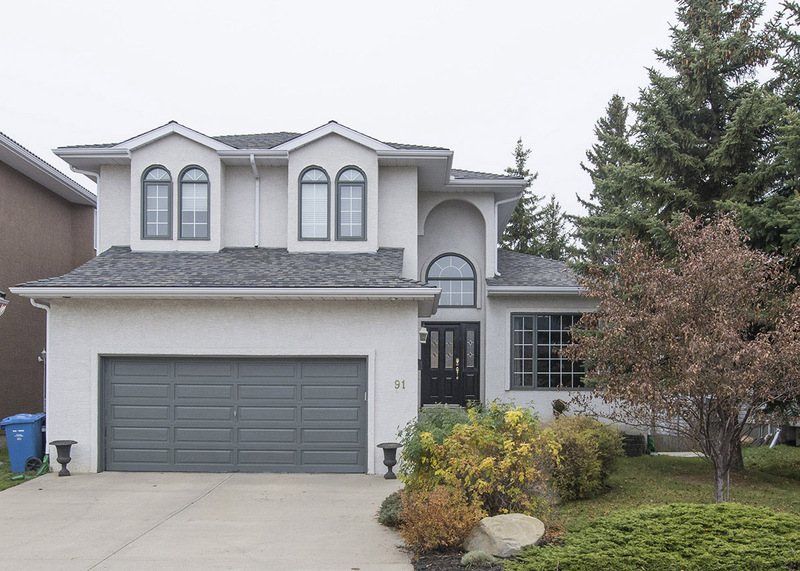 This Elegant Custom Built Family home speaks of distinction and warmth and is being offered for sale for the first time! 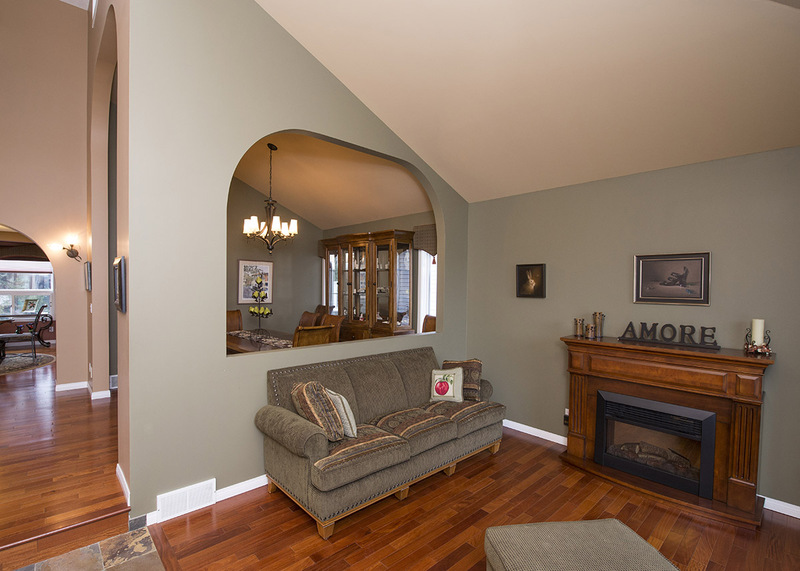 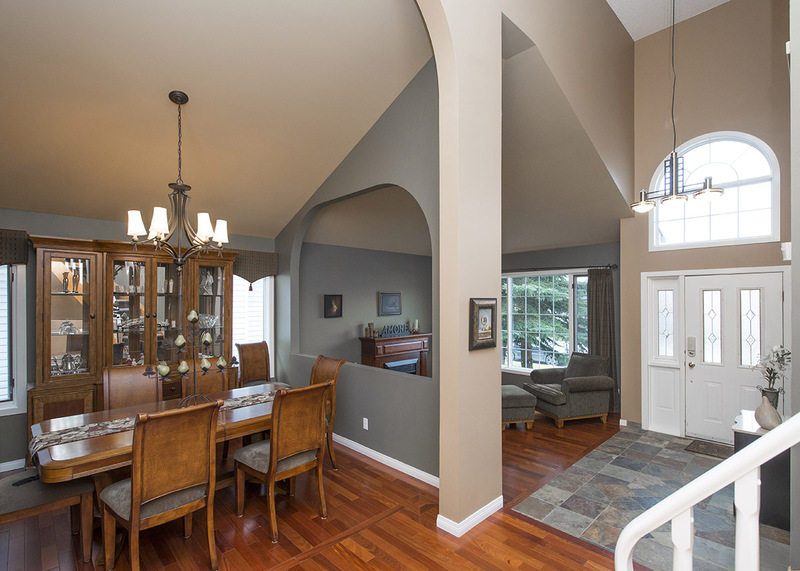 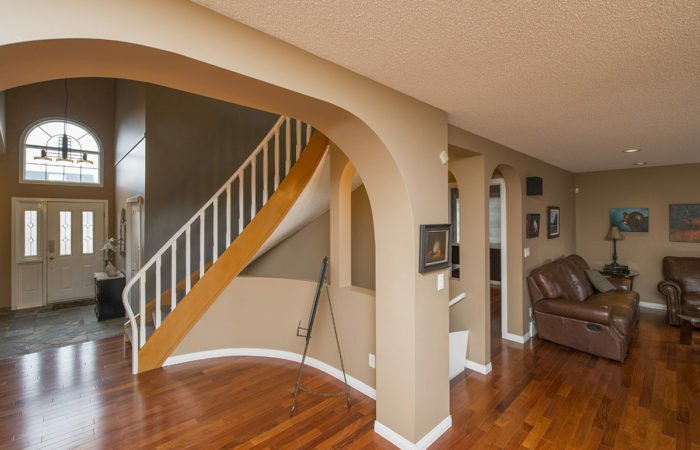 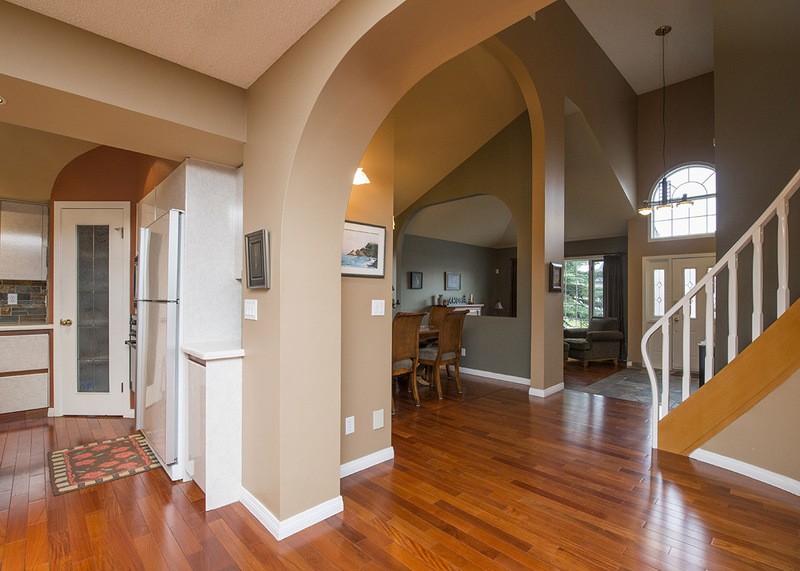 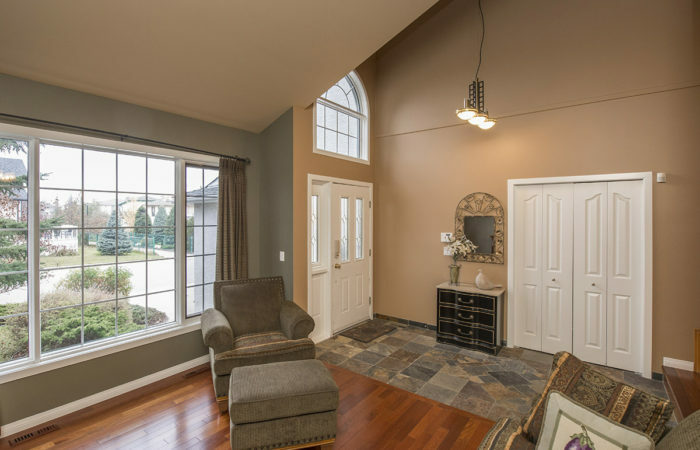 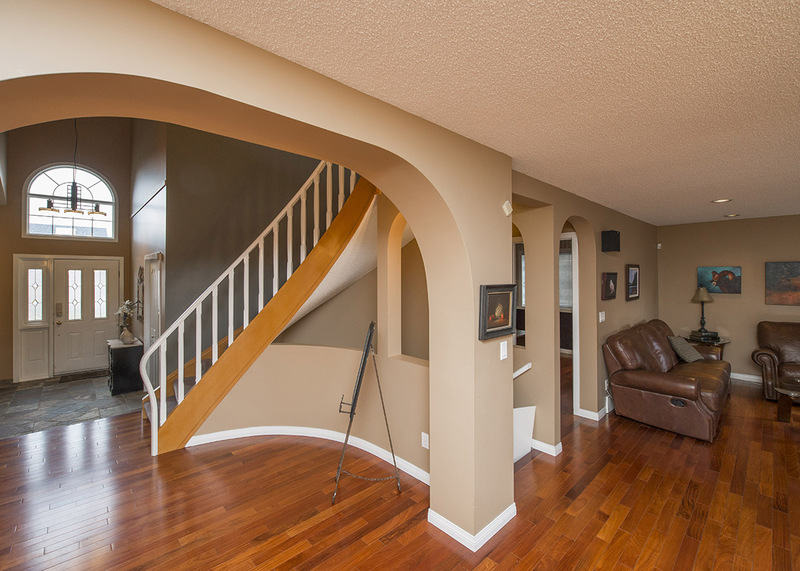 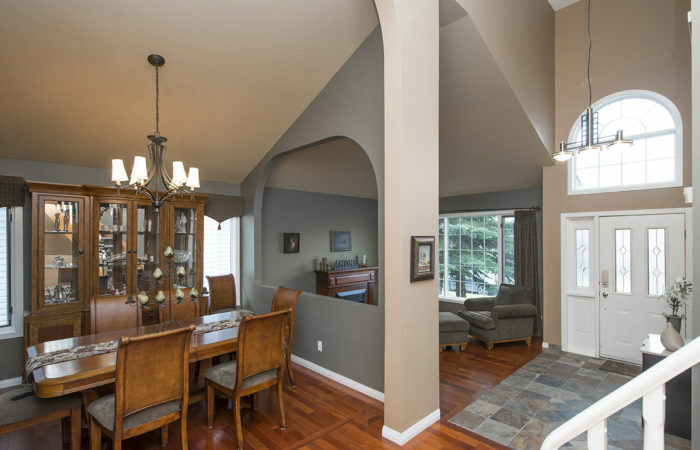 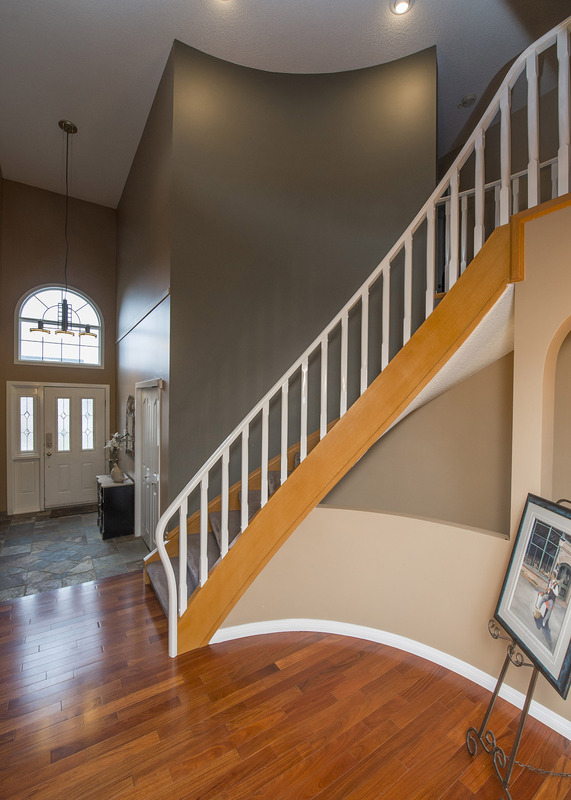 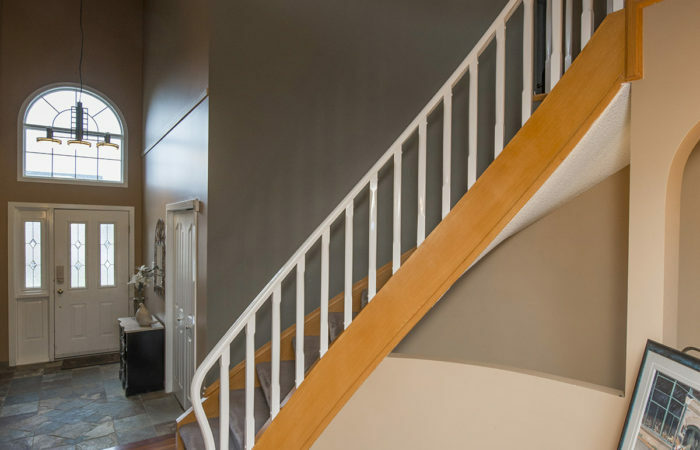 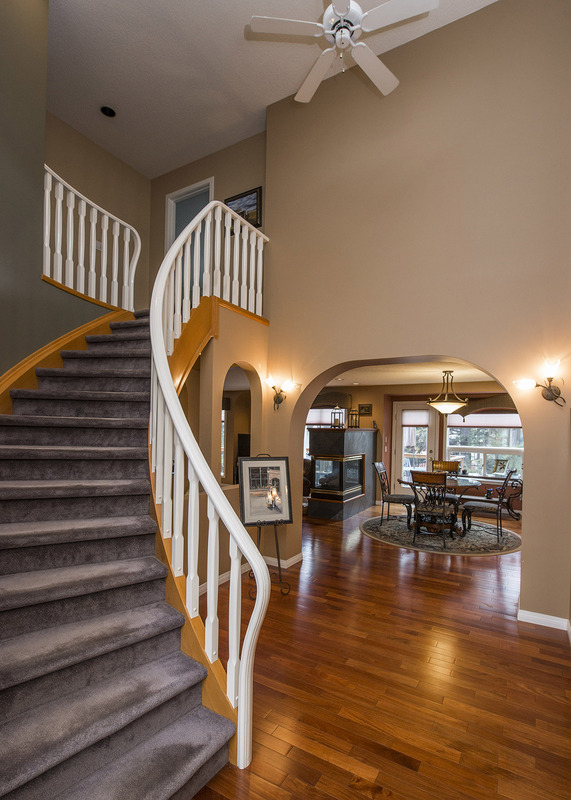 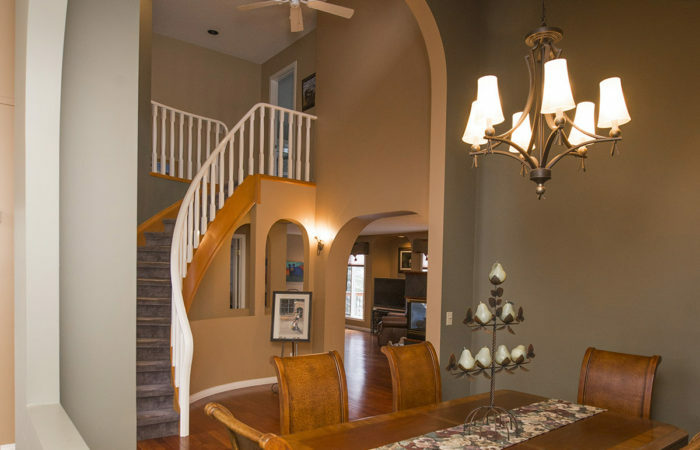 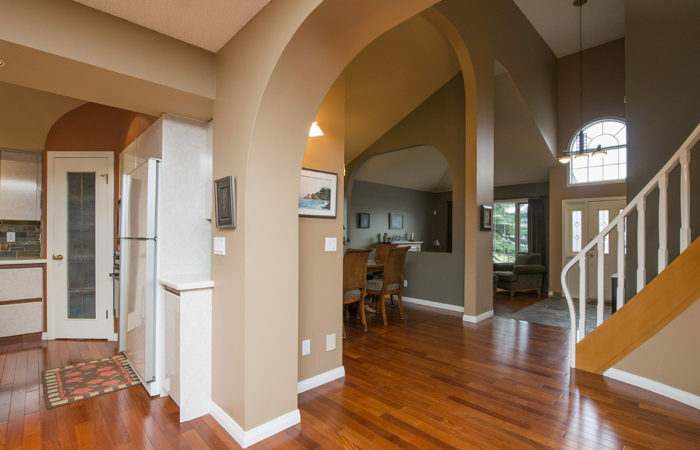 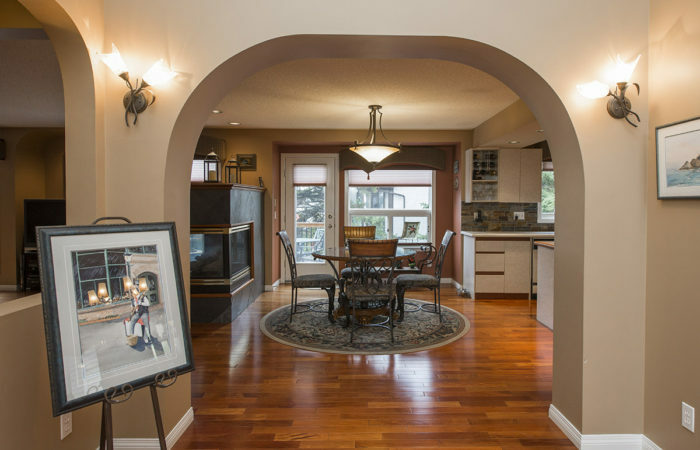 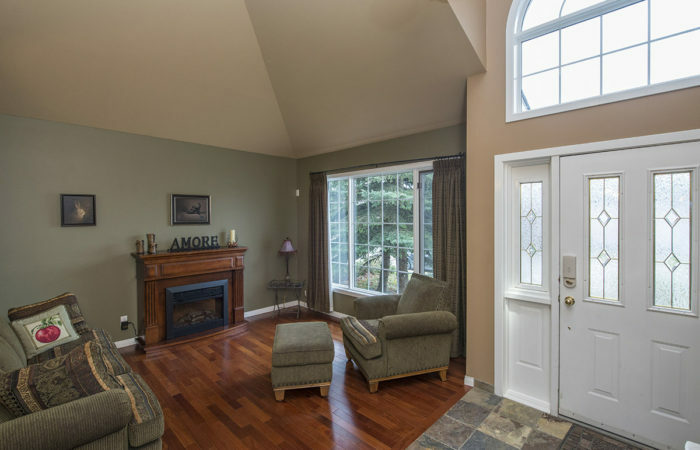 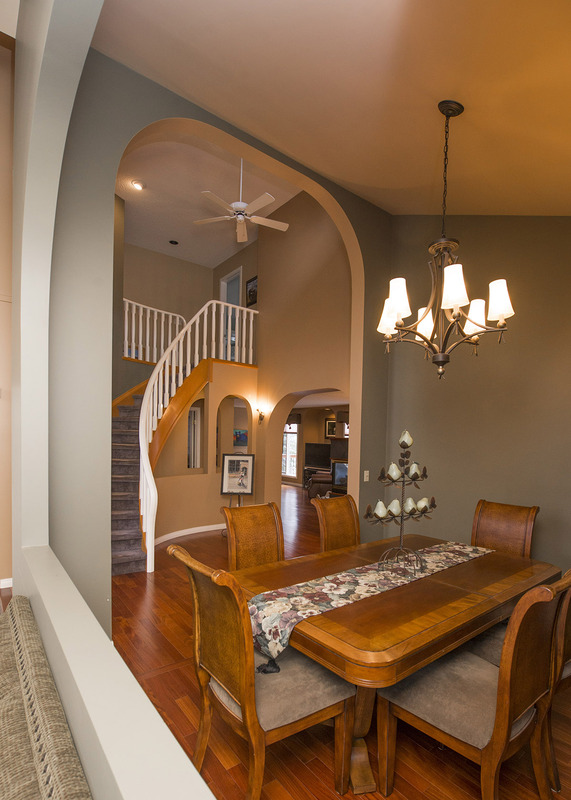 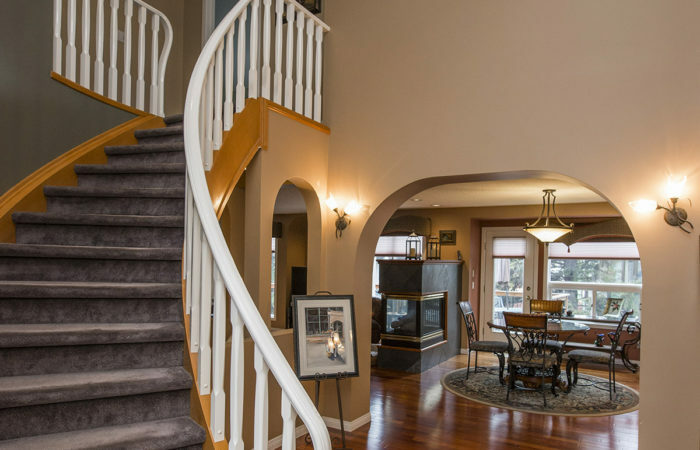 The gracious foyer welcomes you to the open spacious plan, beautiful curved staircase and dramatic ceilings. 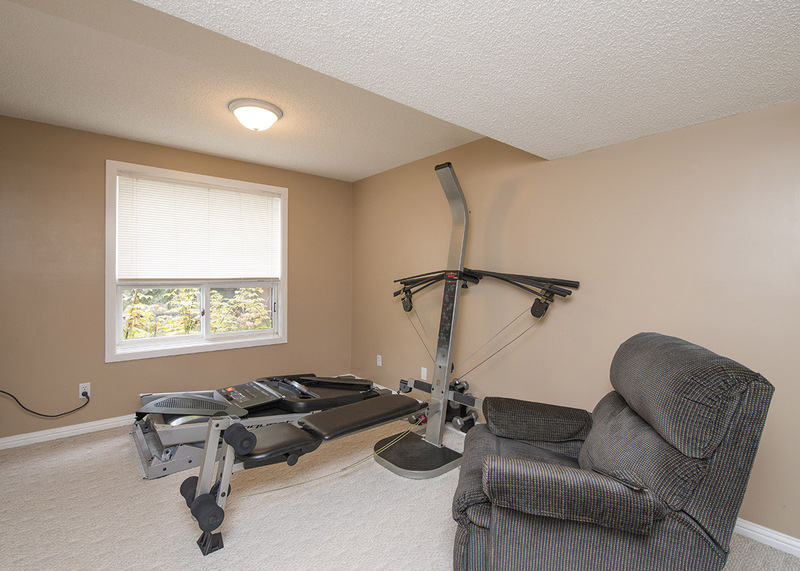 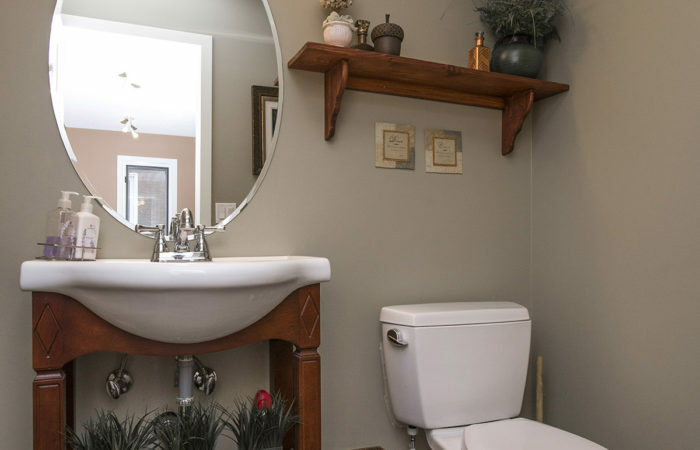 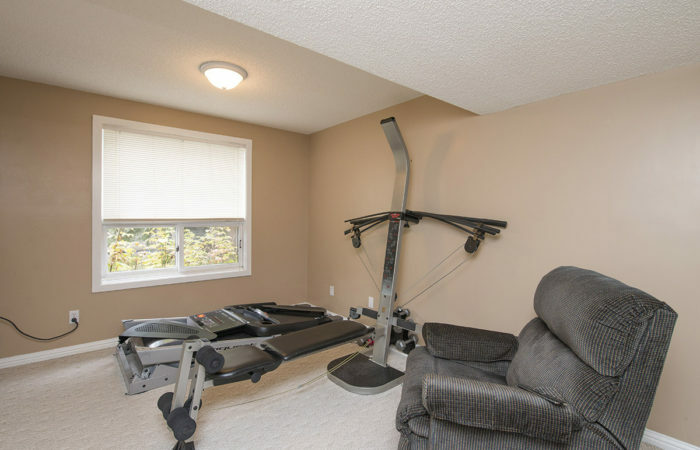 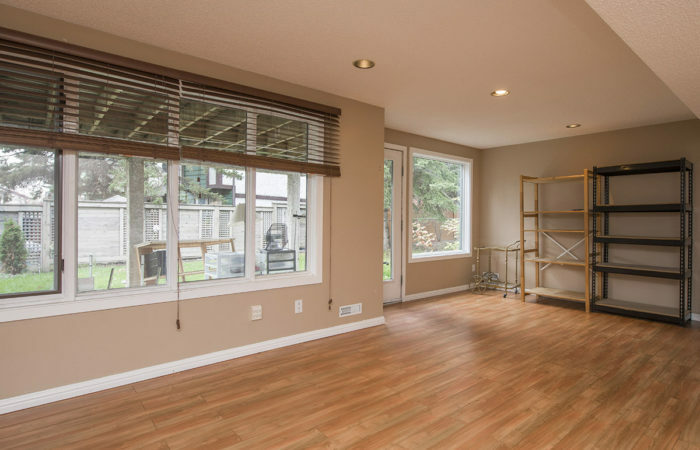 You will be impressed by the classic hardwood floors, the pride of ownership and tasteful styling of the current updates. 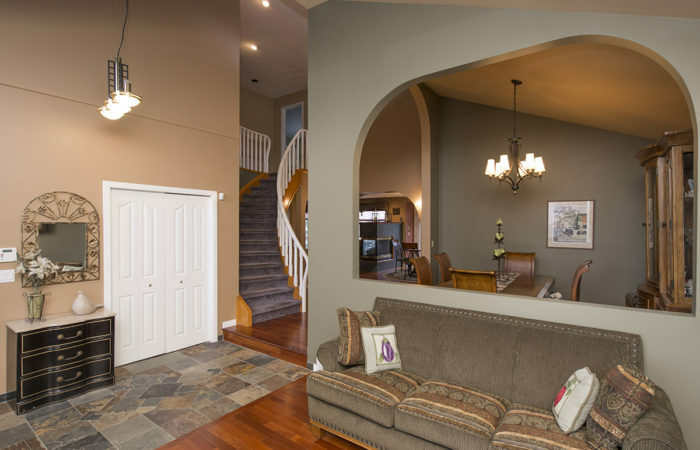 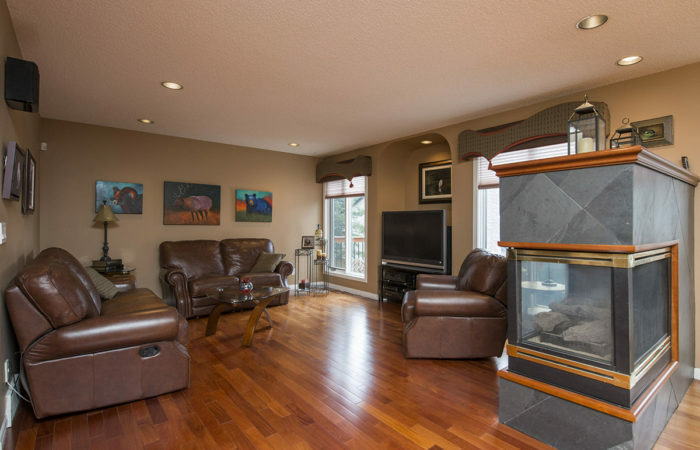 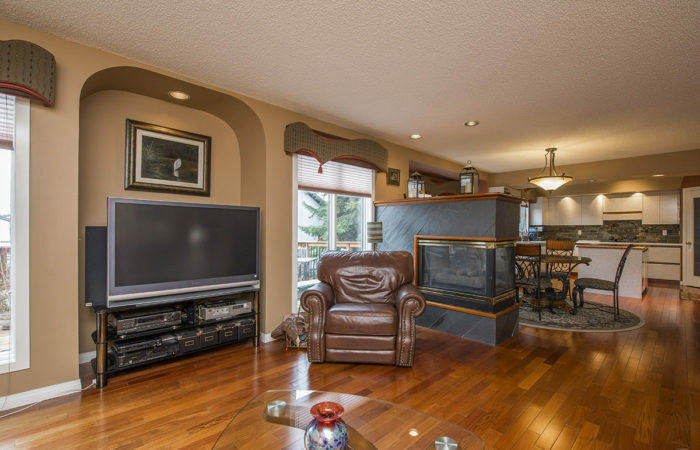 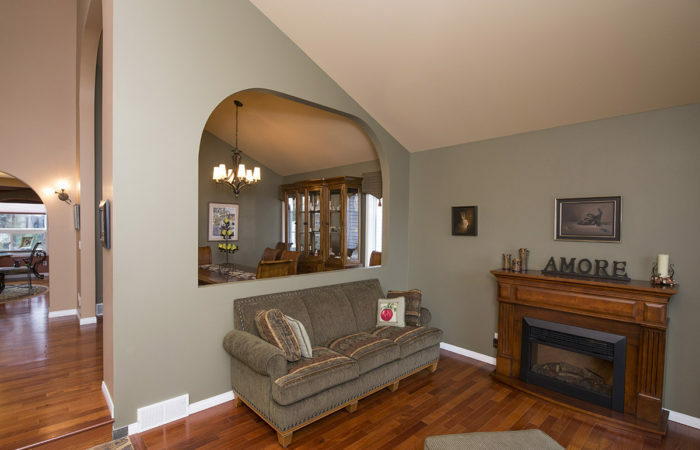 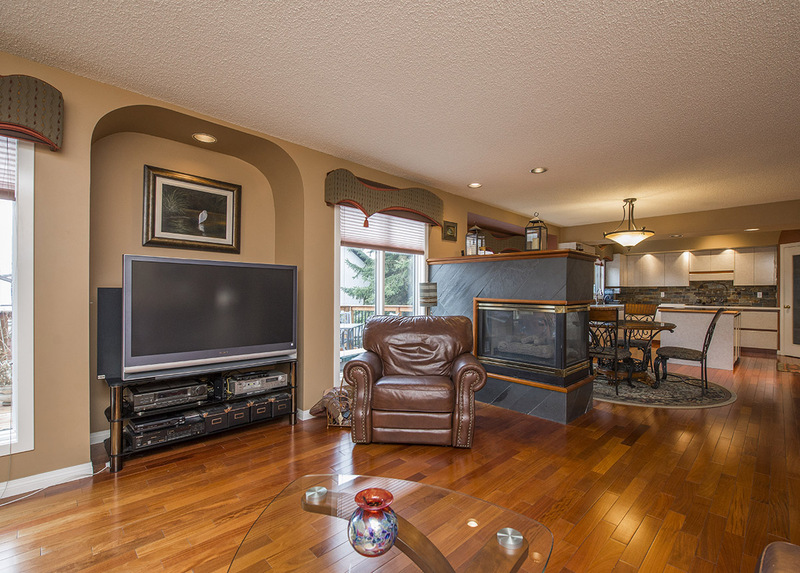 With 4 bedrooms up, formal living and dining areas, plus a gourmet chefs kitchen that is open to the family room, you have plenty of space for Entertaining! 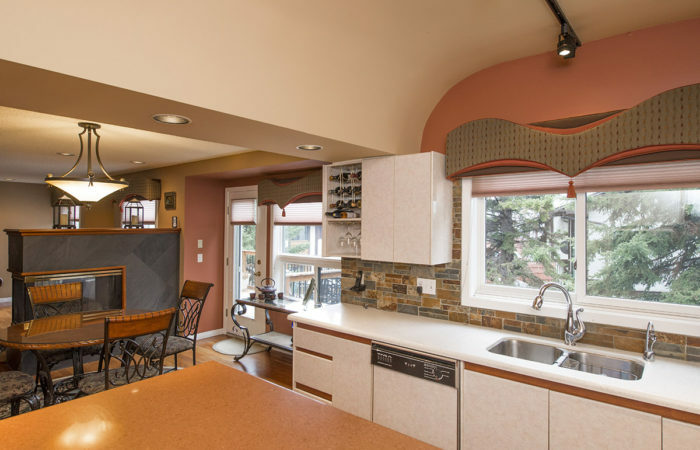 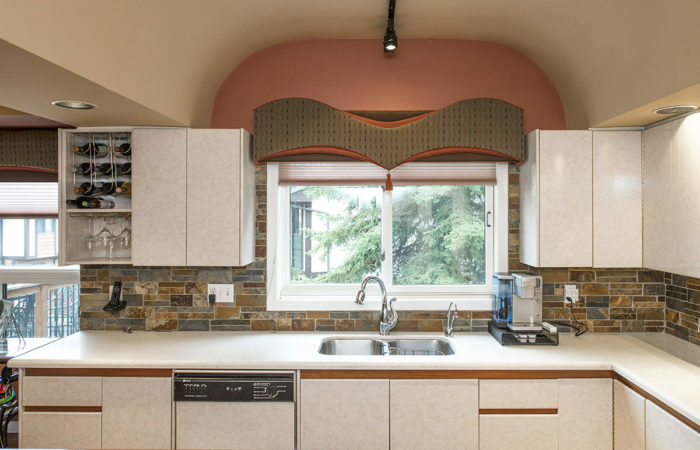 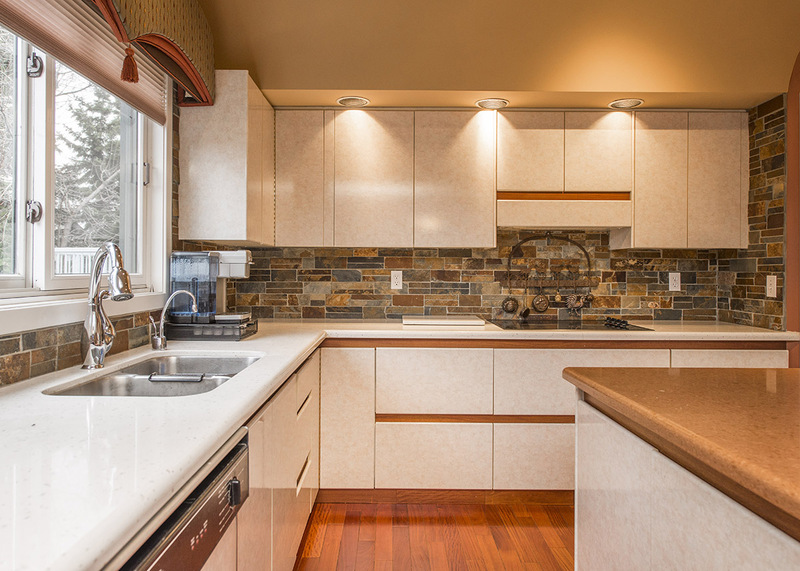 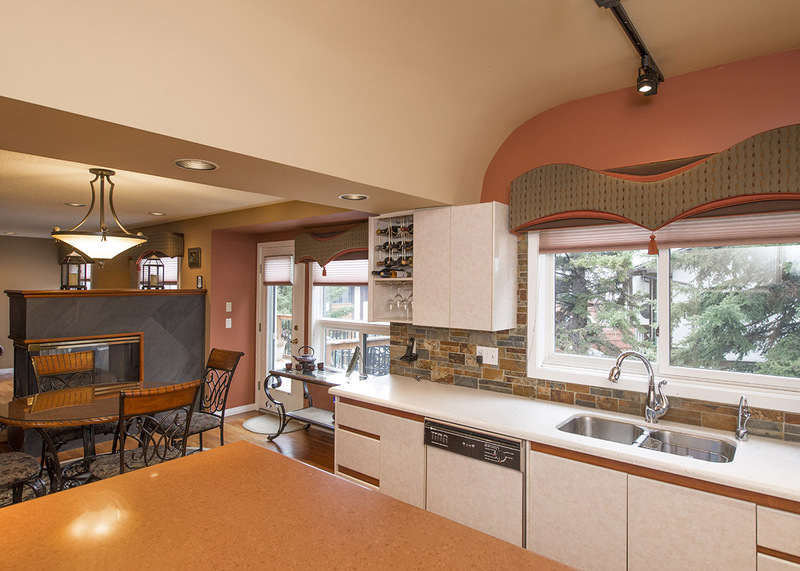 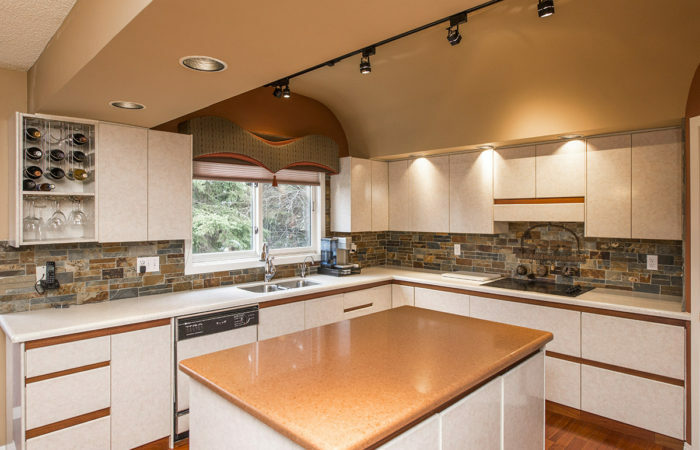 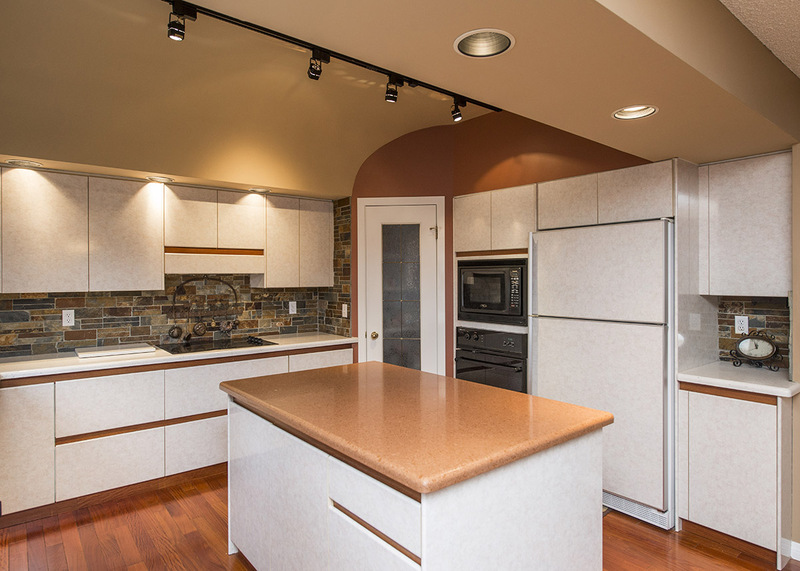 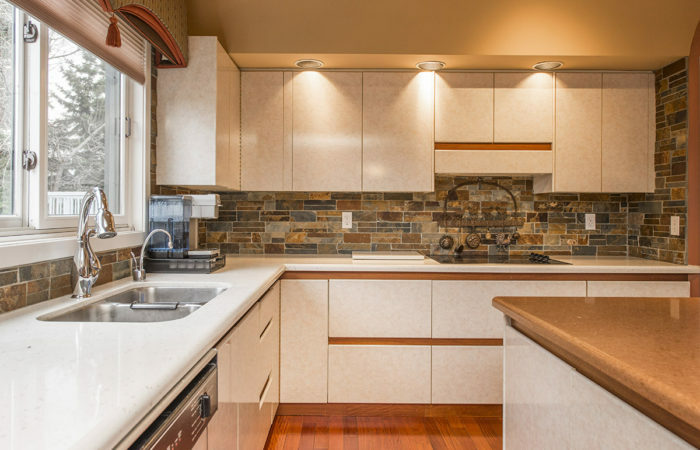 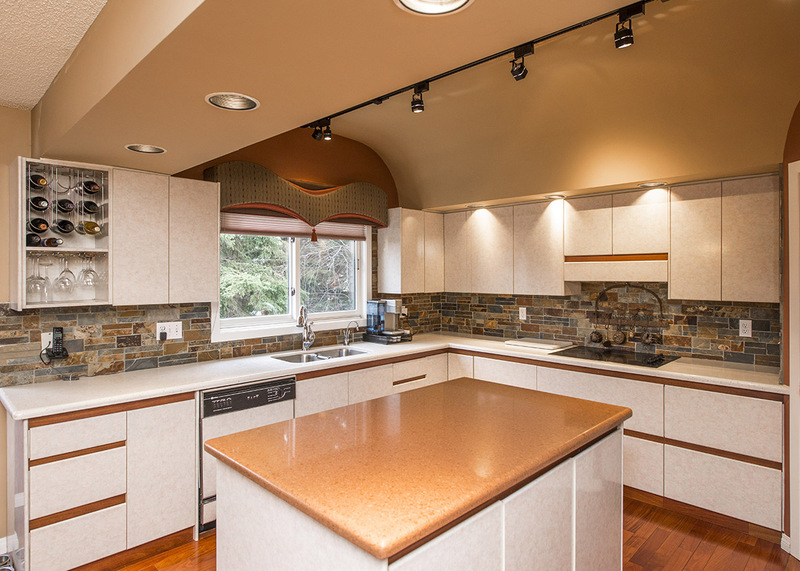 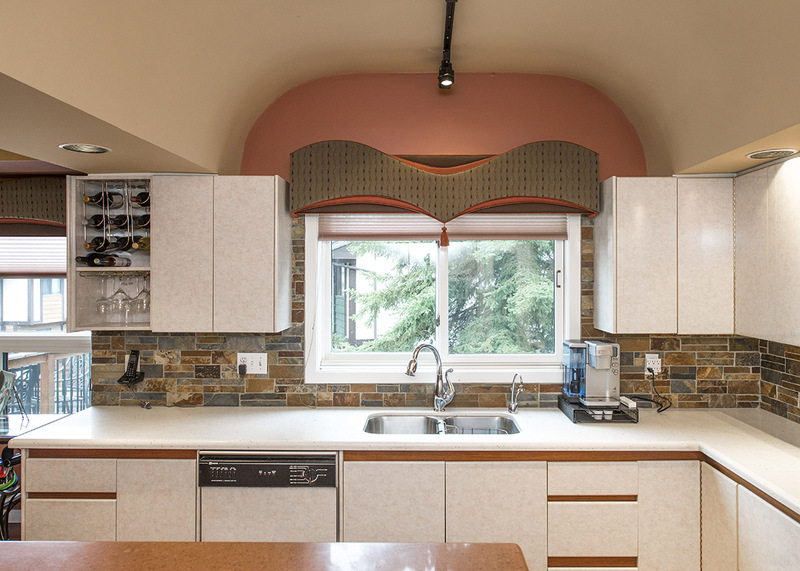 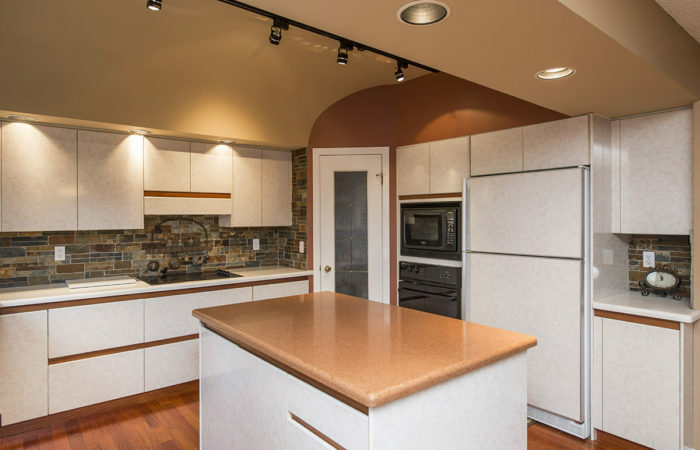 The well laid out kitchen has been updated with custom cabinets, backsplash and quartz countertops, showing off a Unique Curved ceiling. 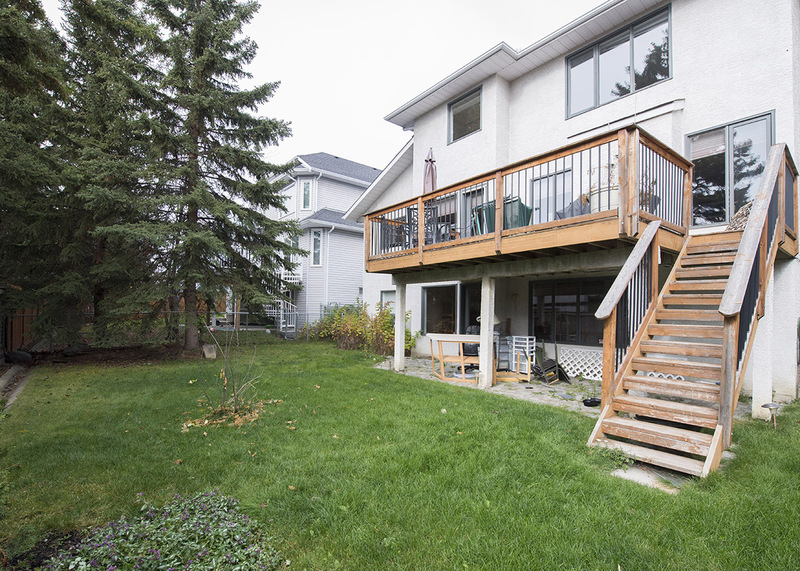 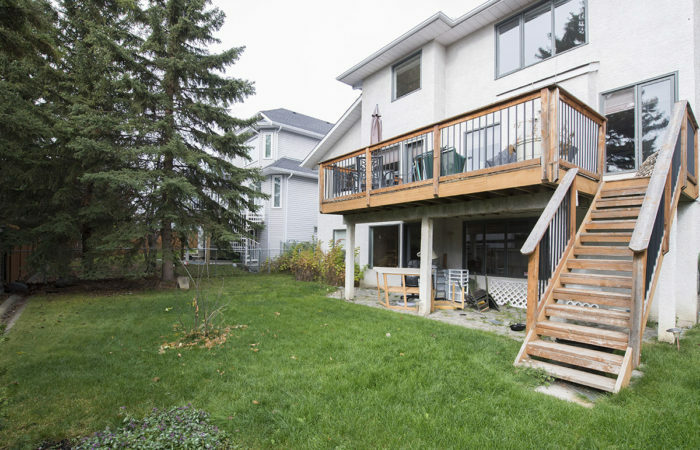 The large south deck is off of the nook and the cozy double sided FP can be enjoyed from both kitchen or Family room. 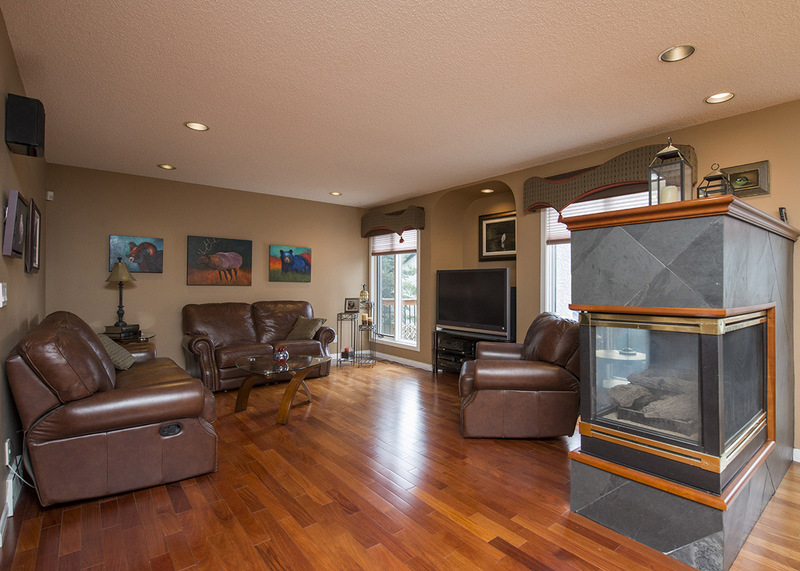 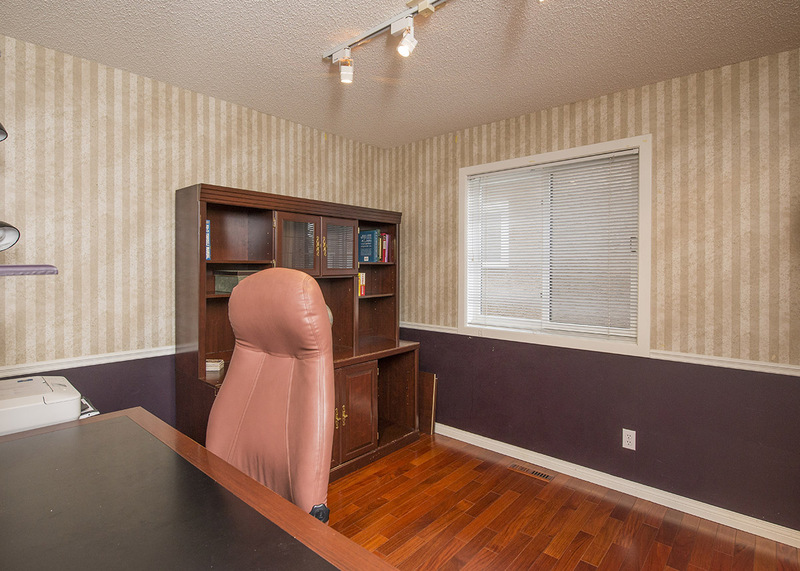 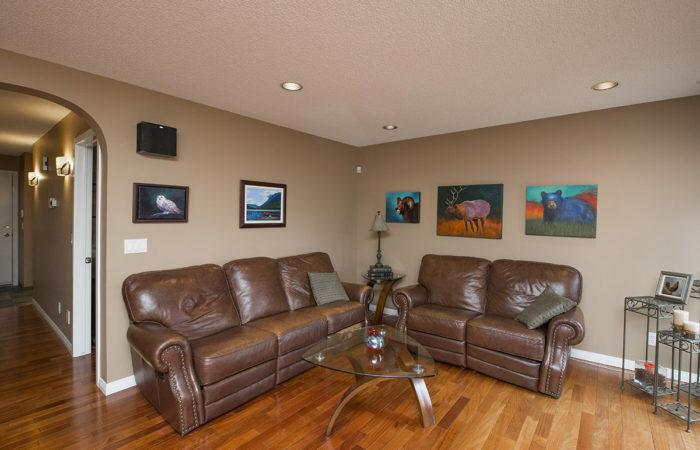 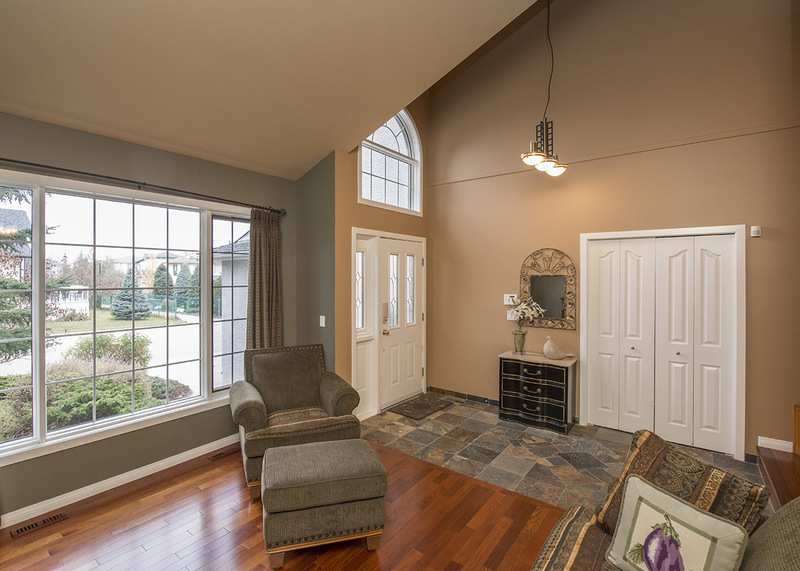 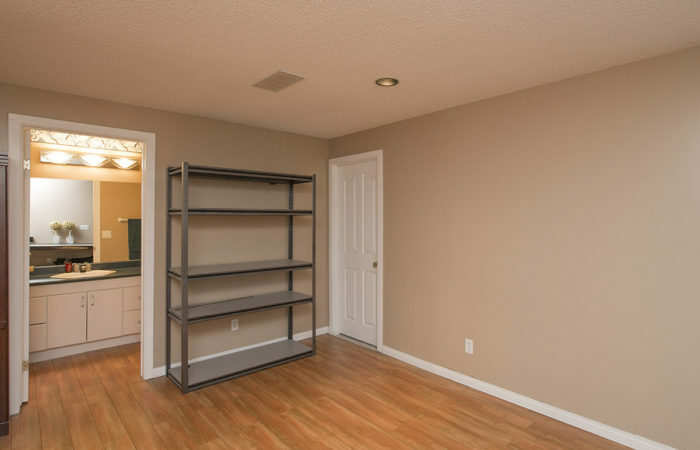 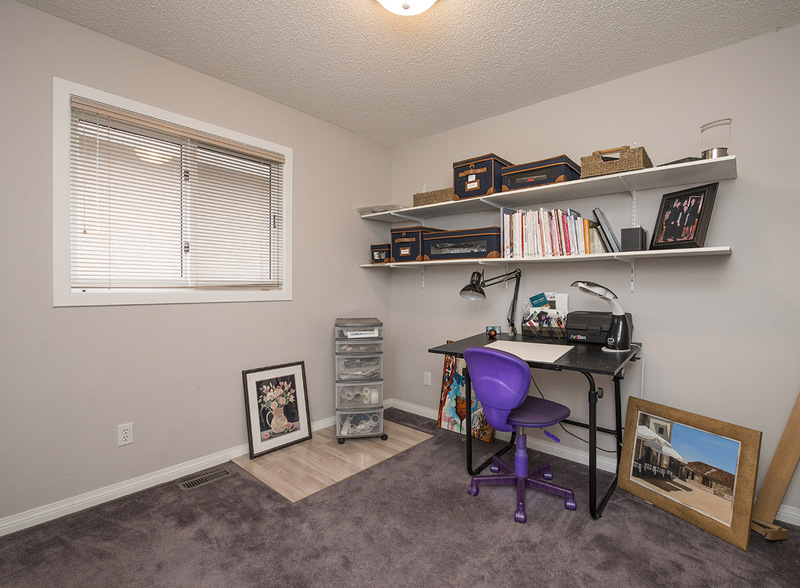 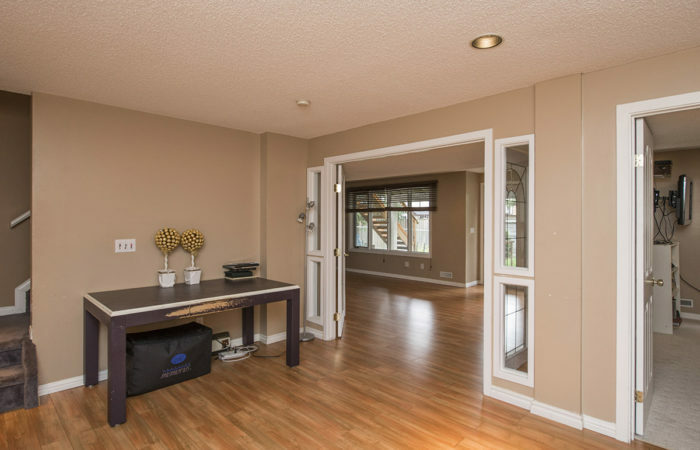 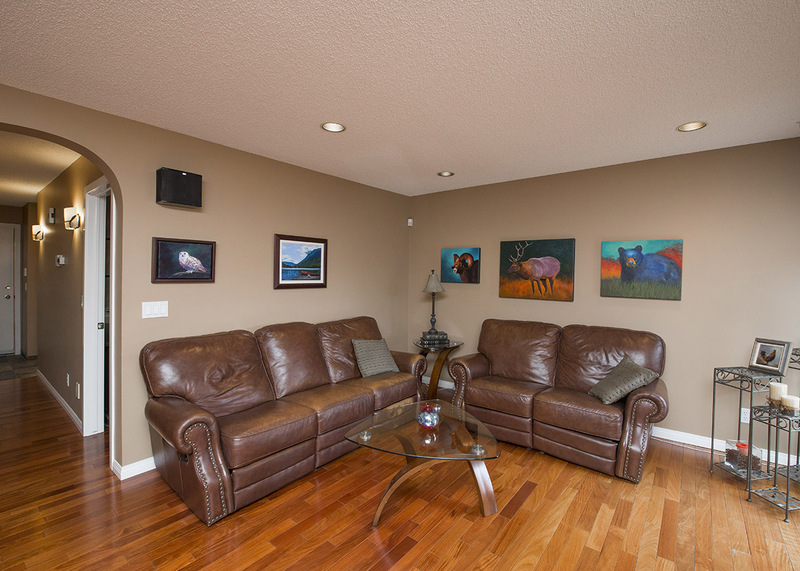 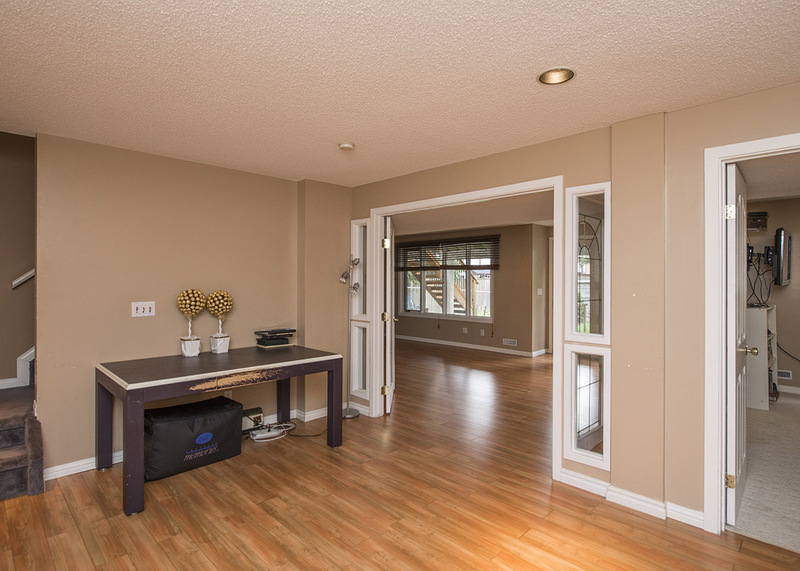 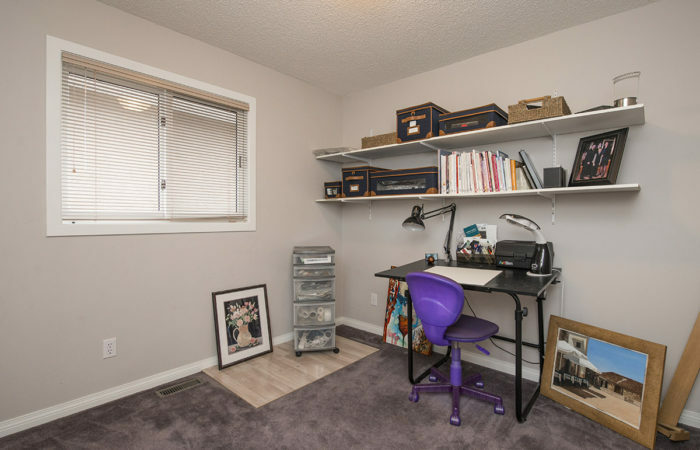 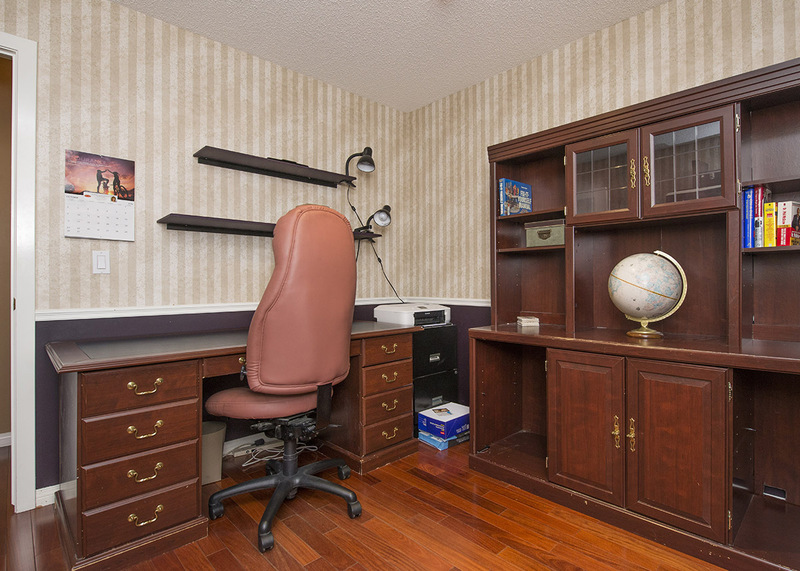 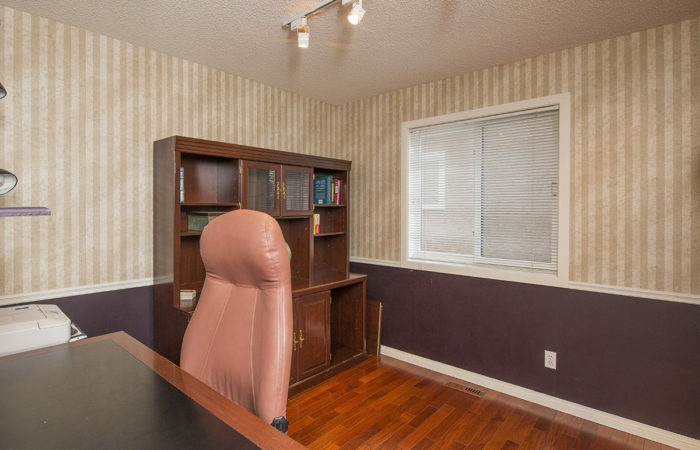 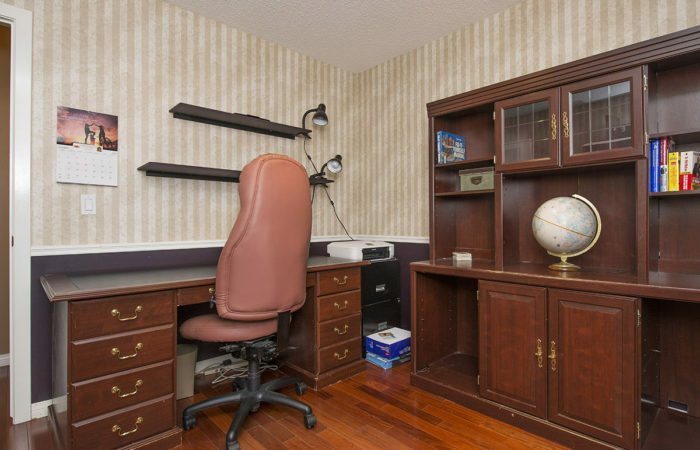 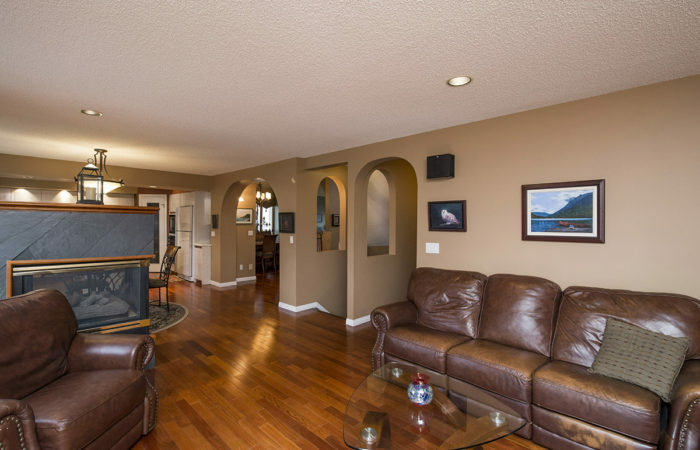 The main floor den is perfect for a home office or studio. 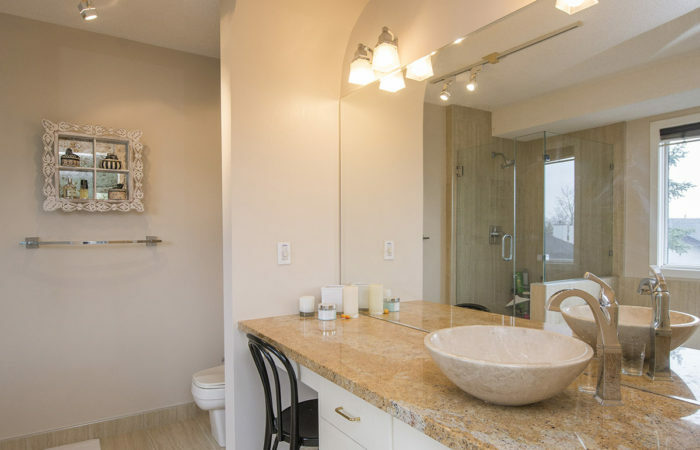 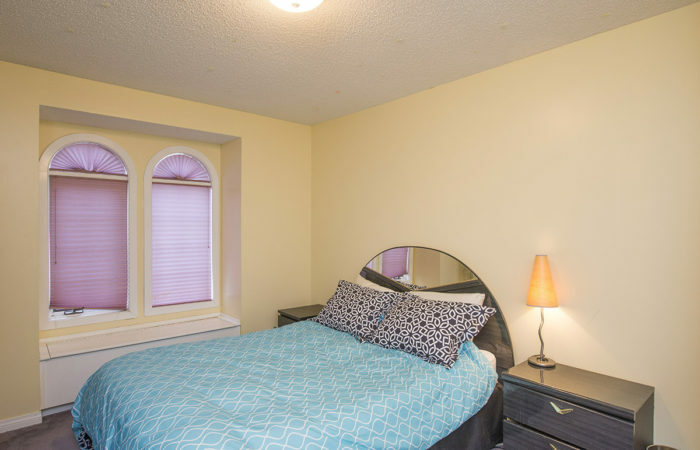 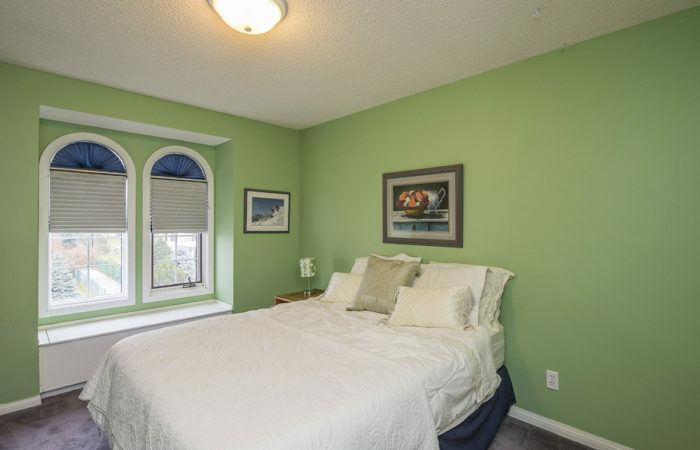 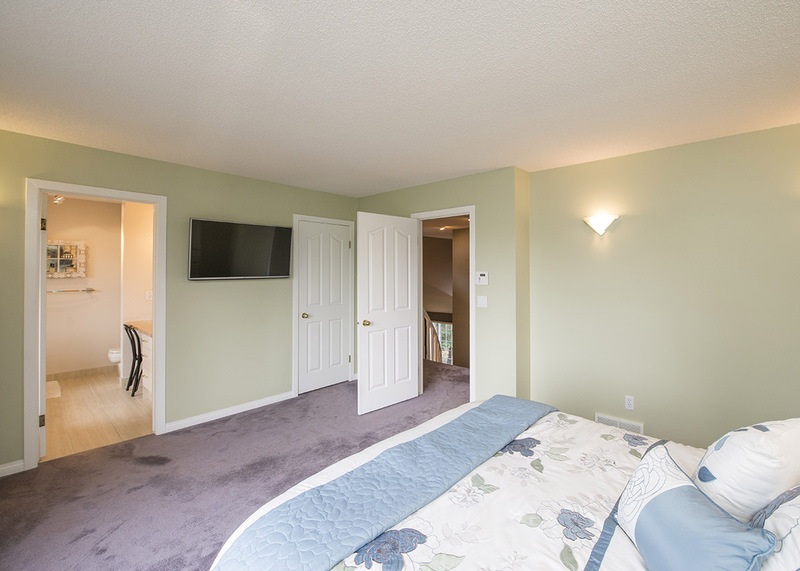 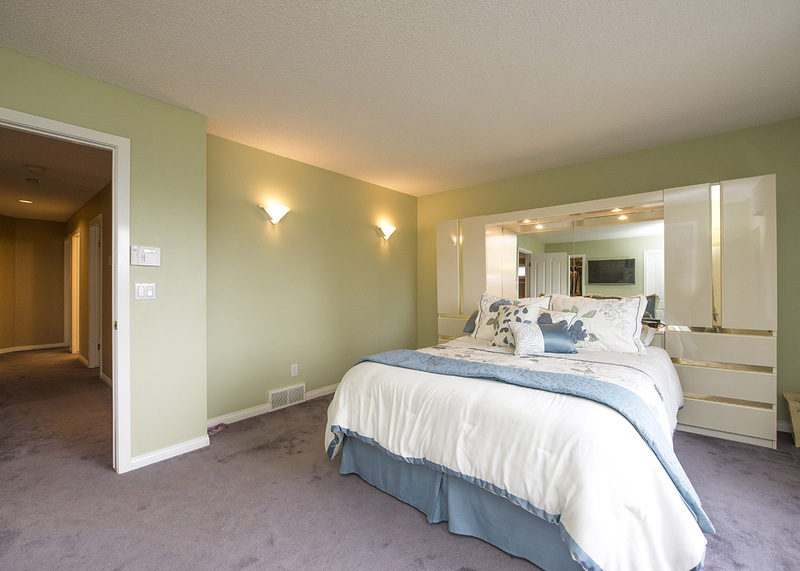 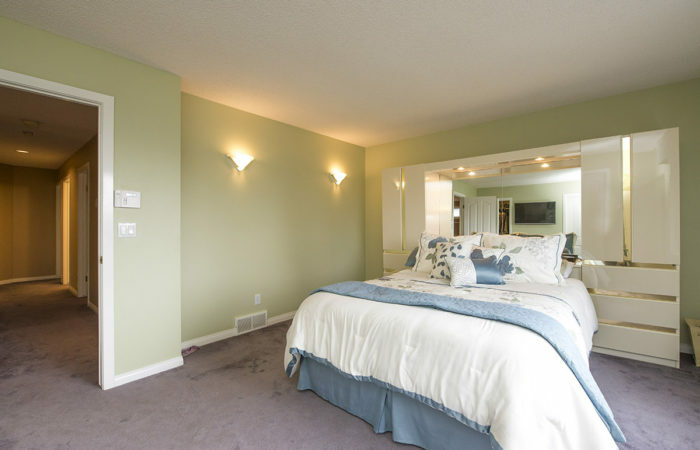 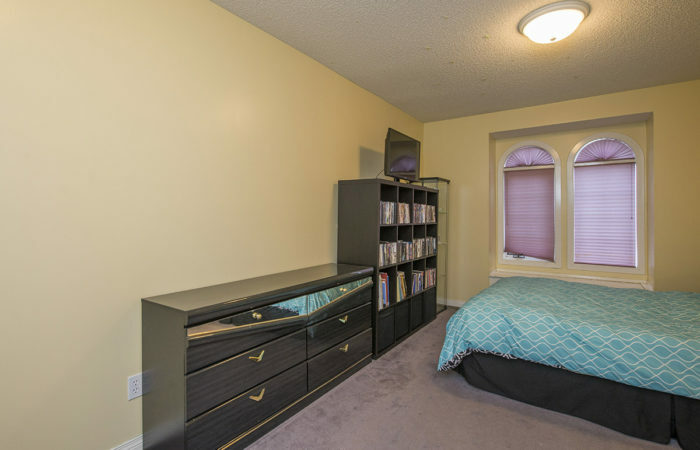 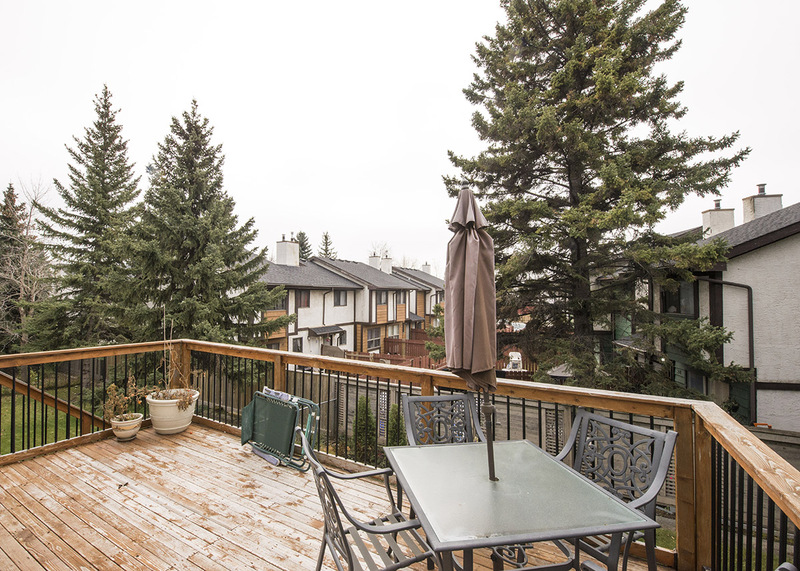 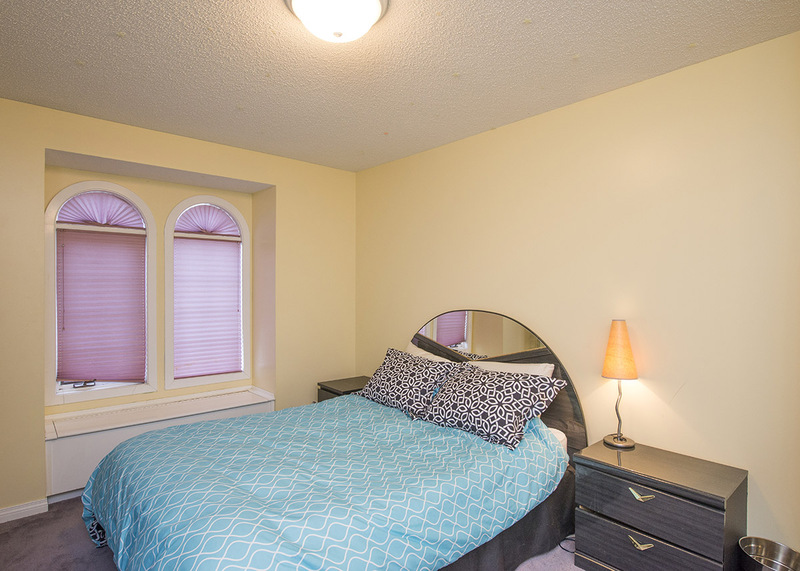 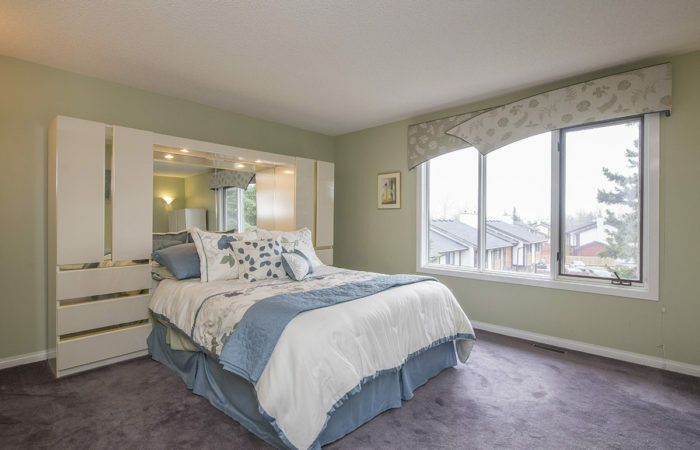 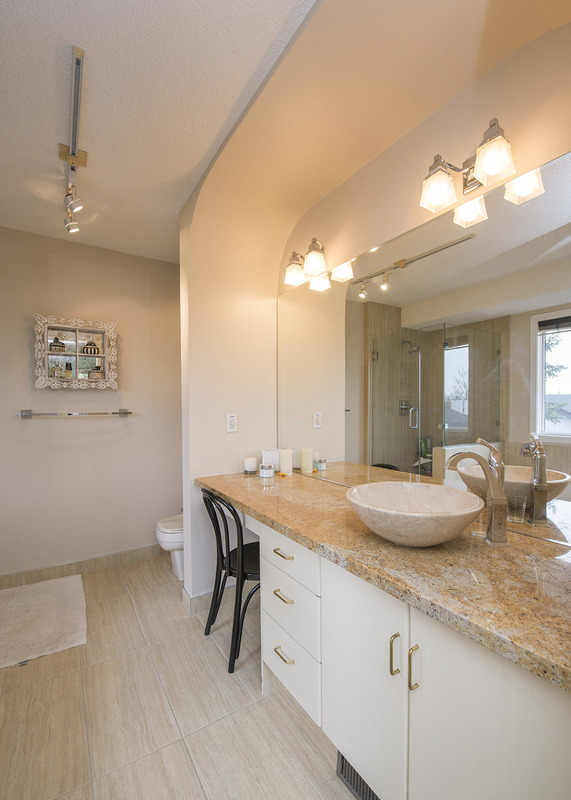 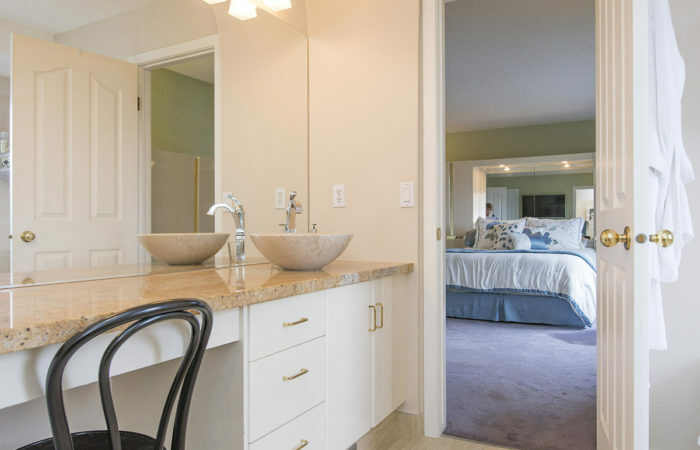 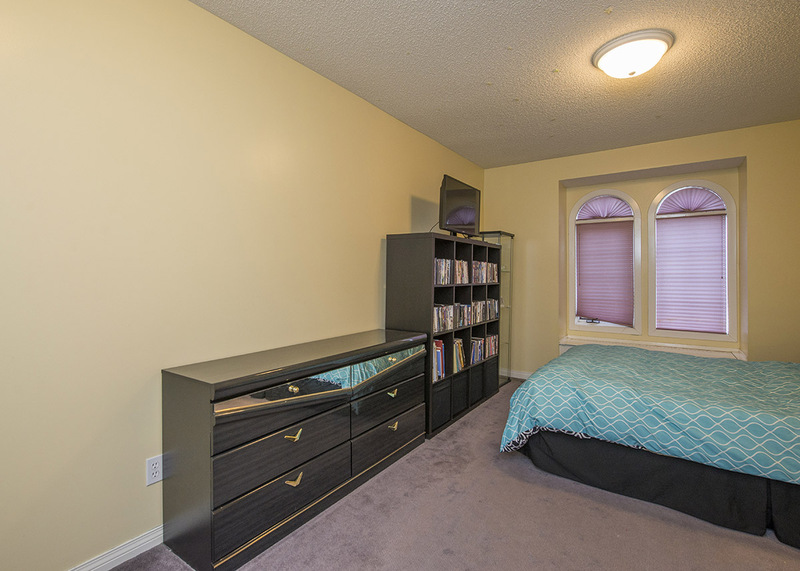 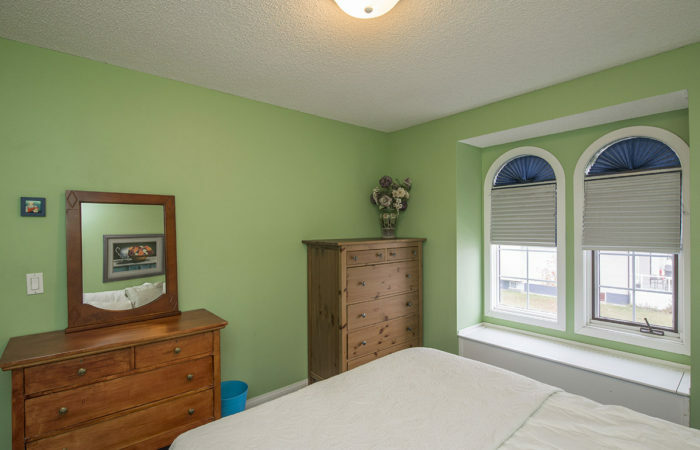 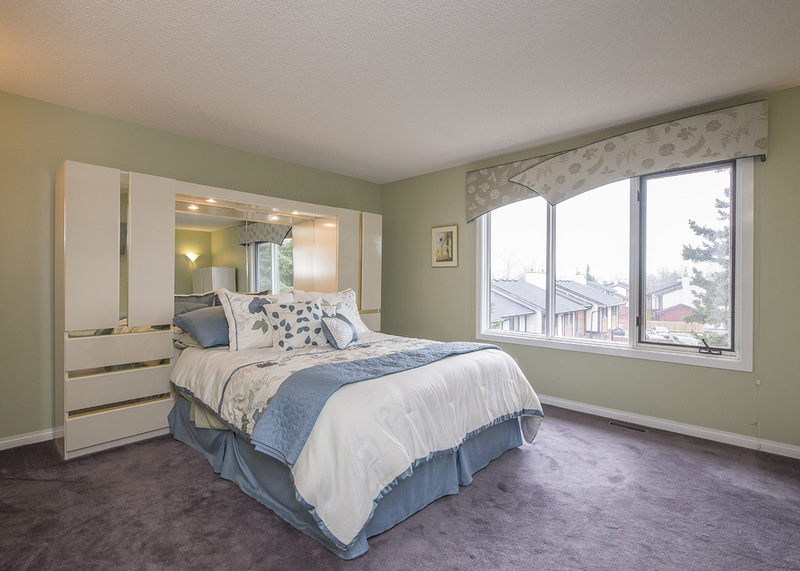 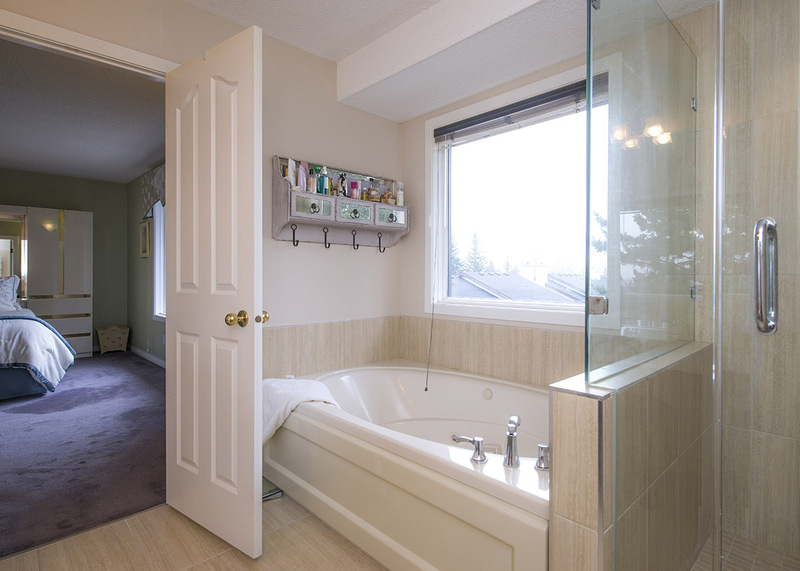 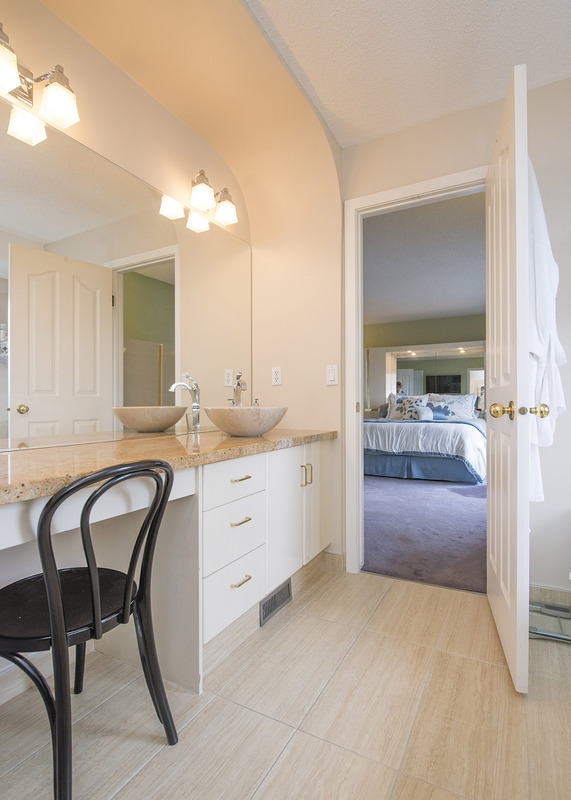 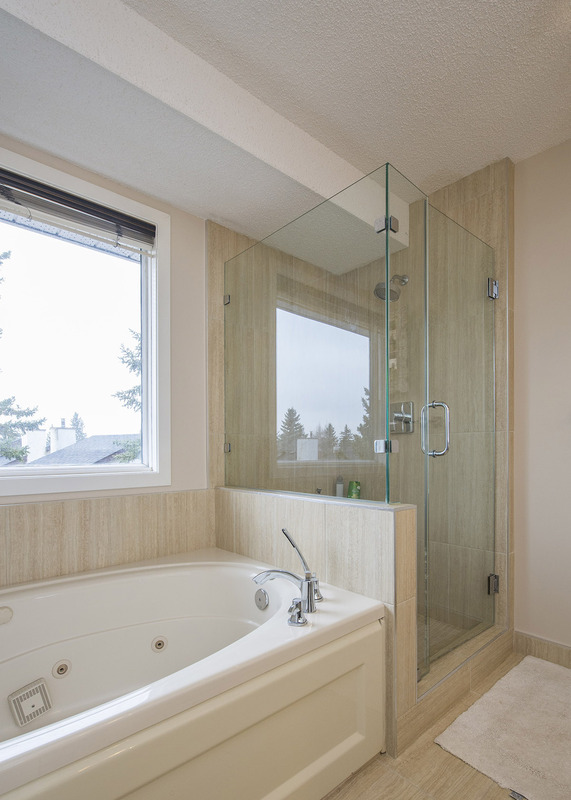 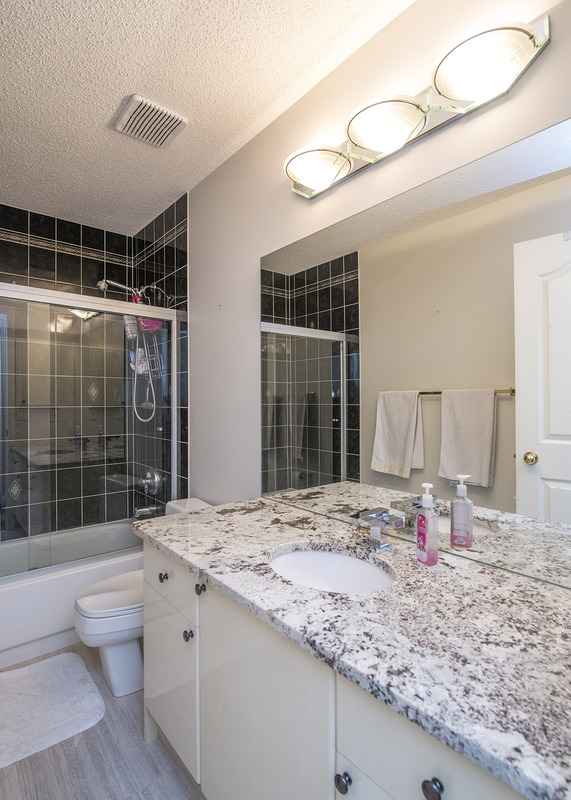 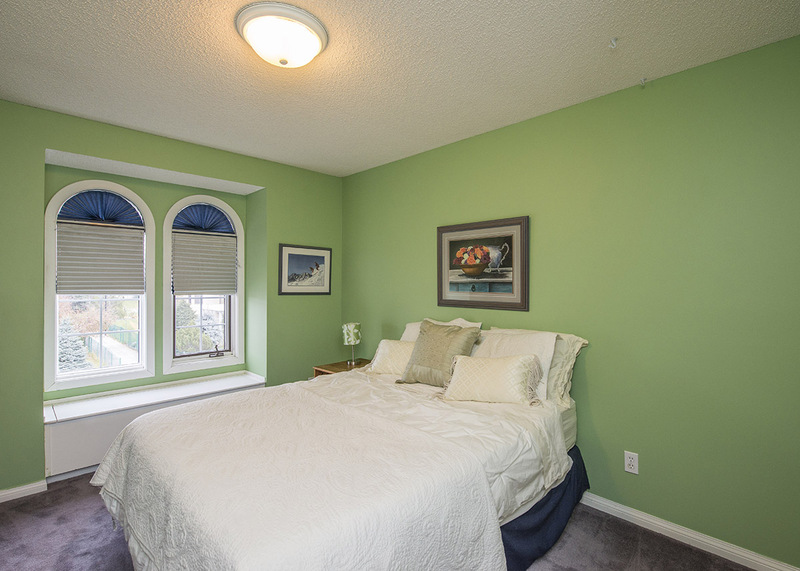 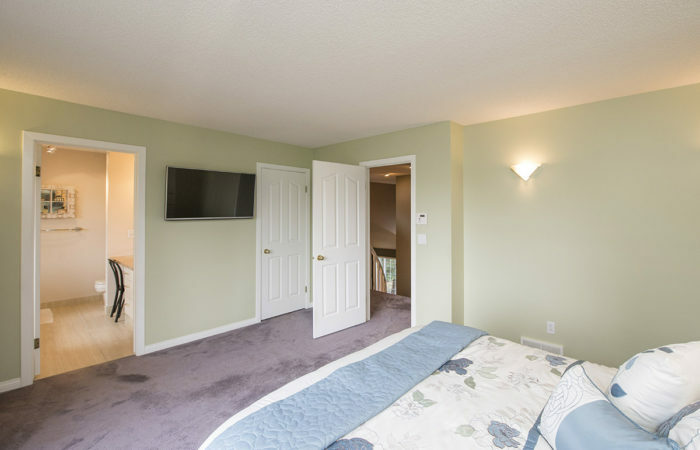 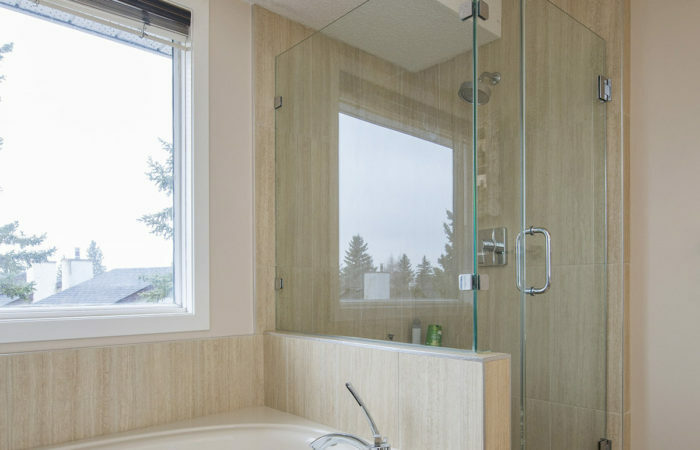 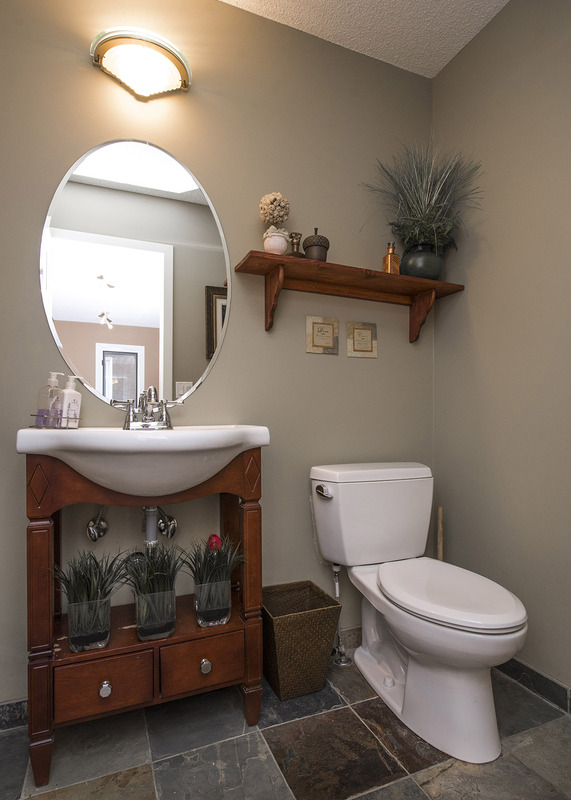 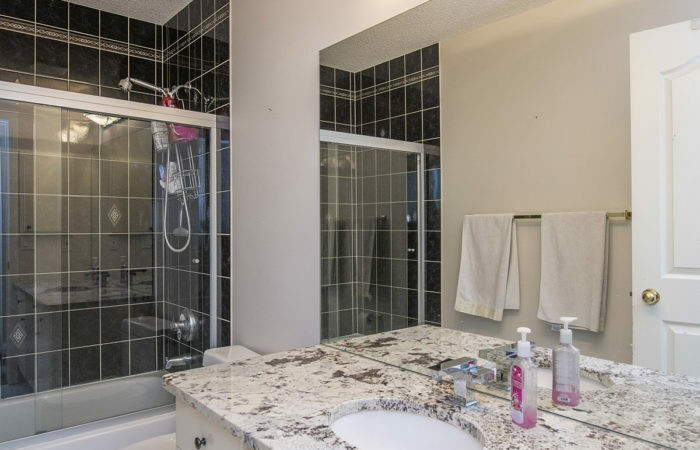 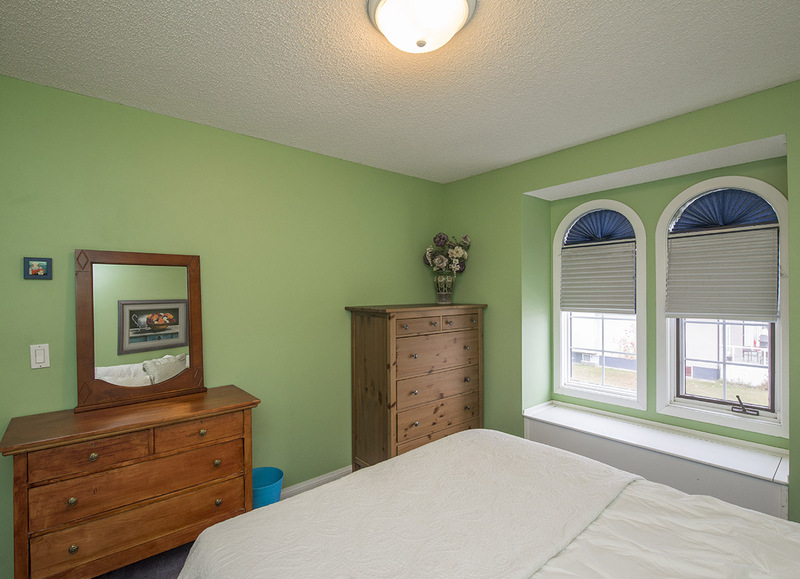 In the elegant Master bdrm you’ll find a charming updated 4 pce ensuite. 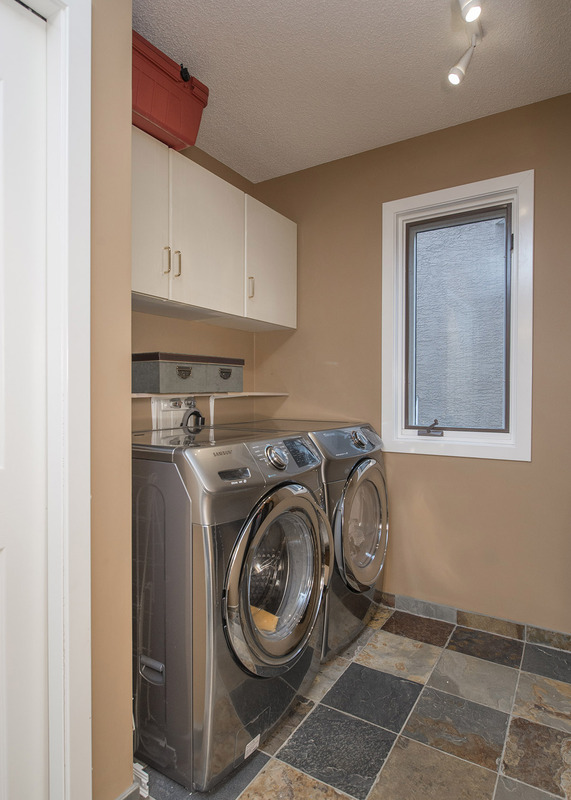 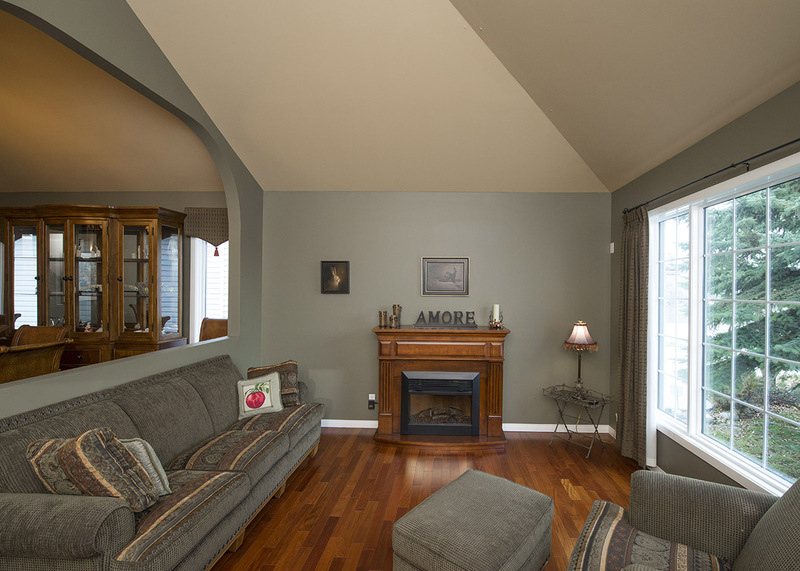 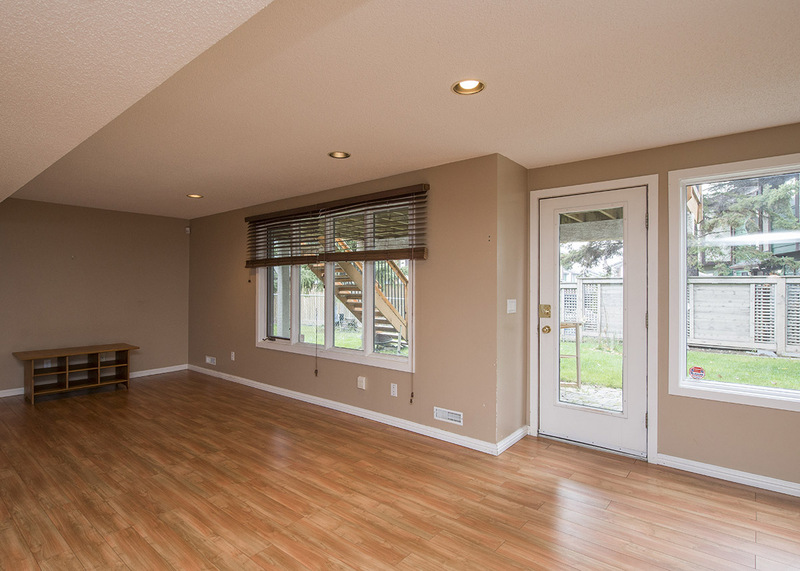 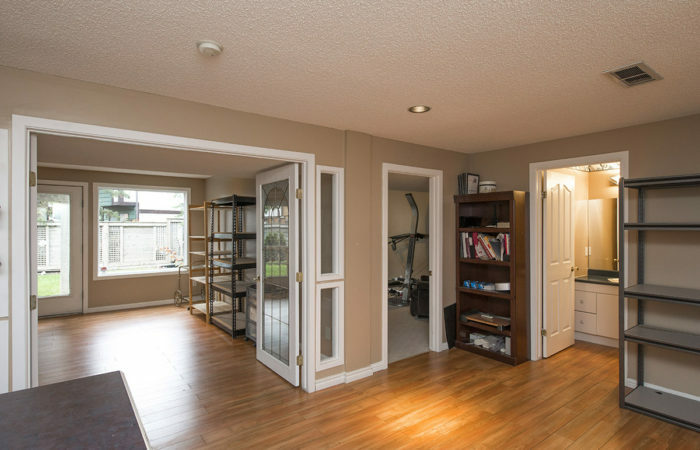 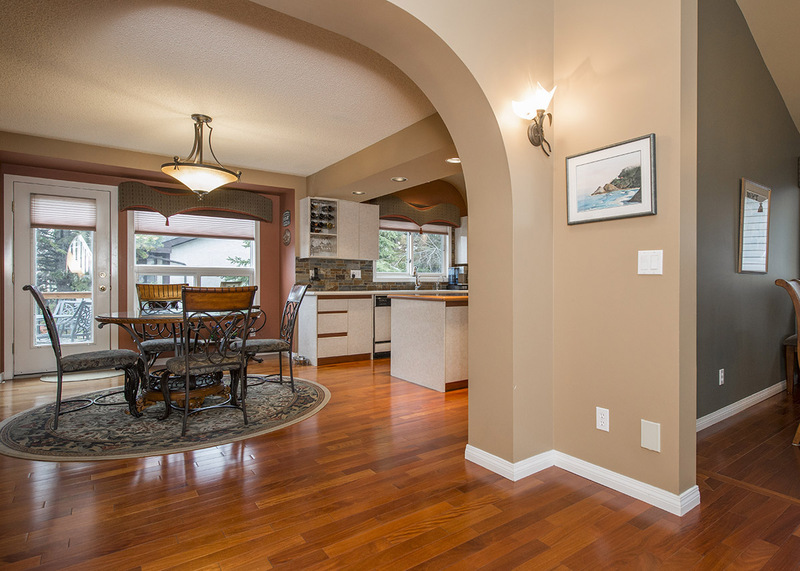 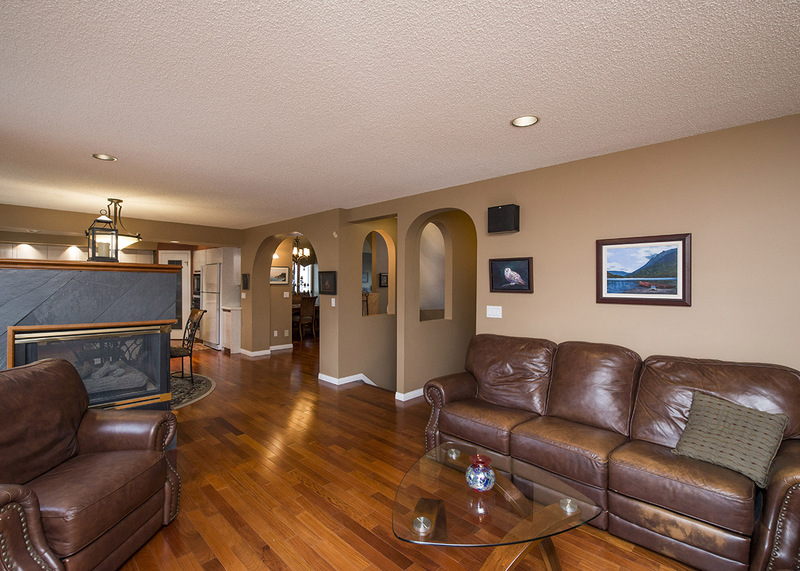 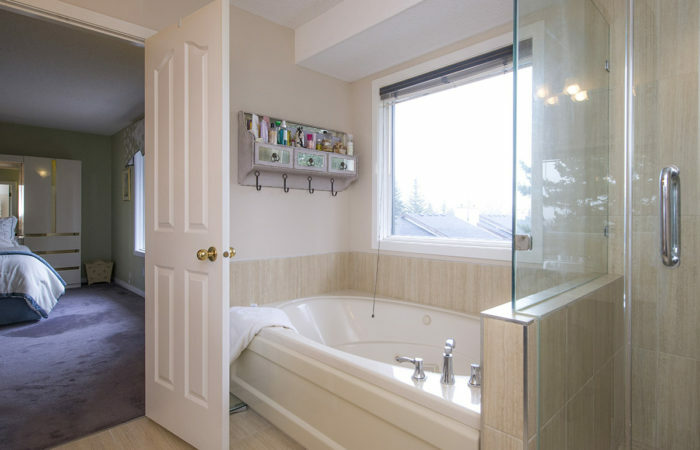 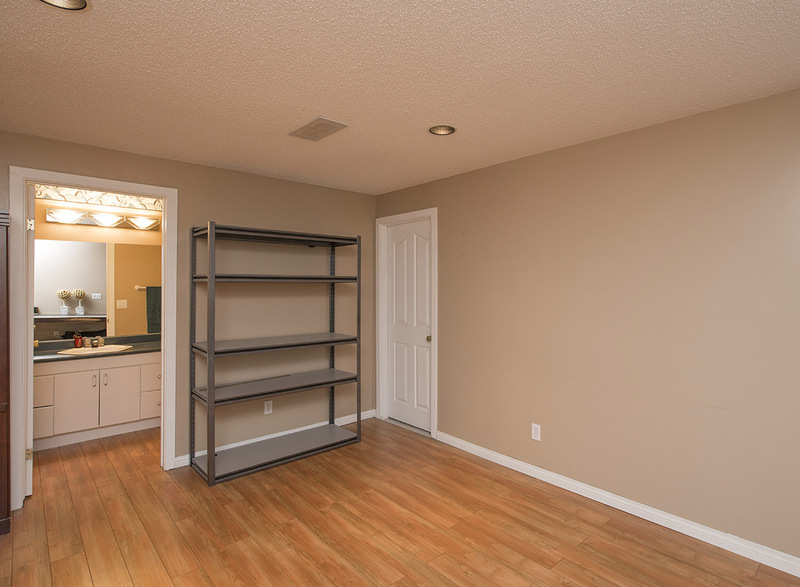 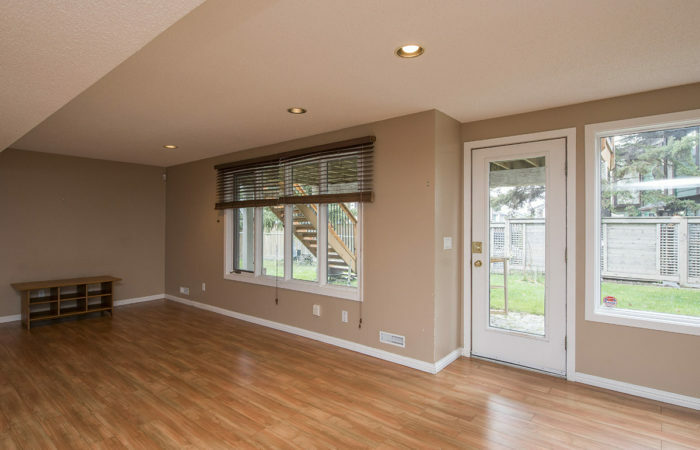 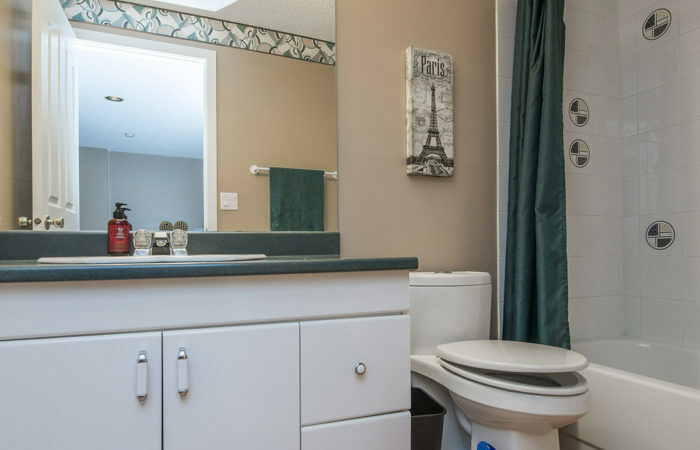 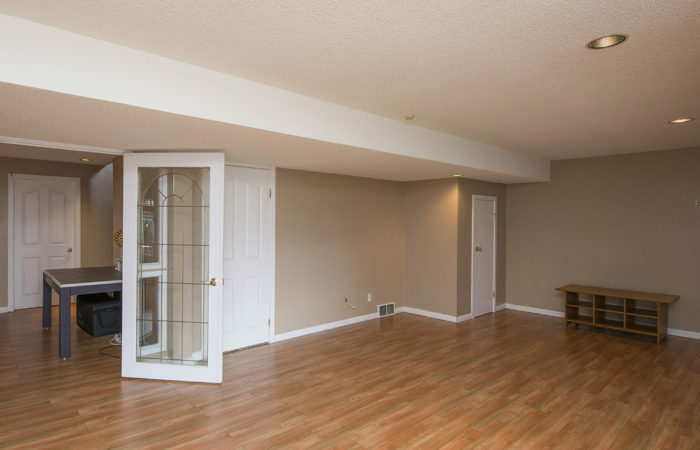 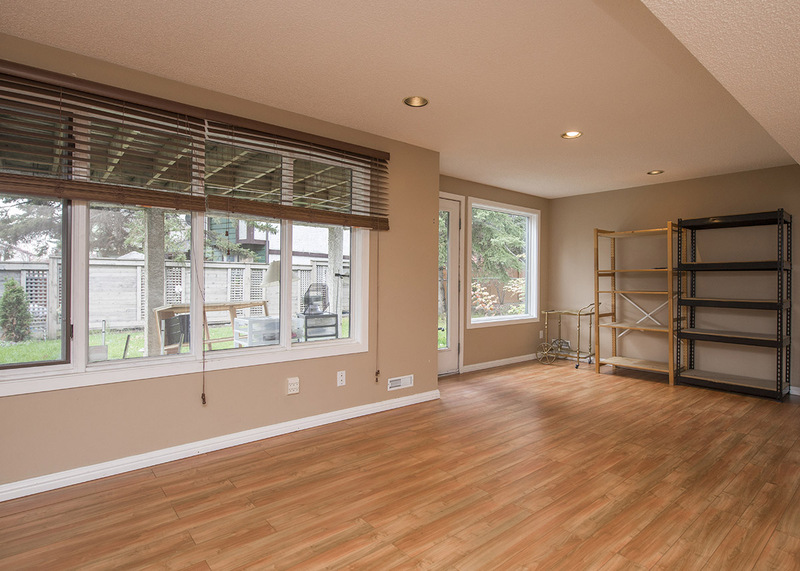 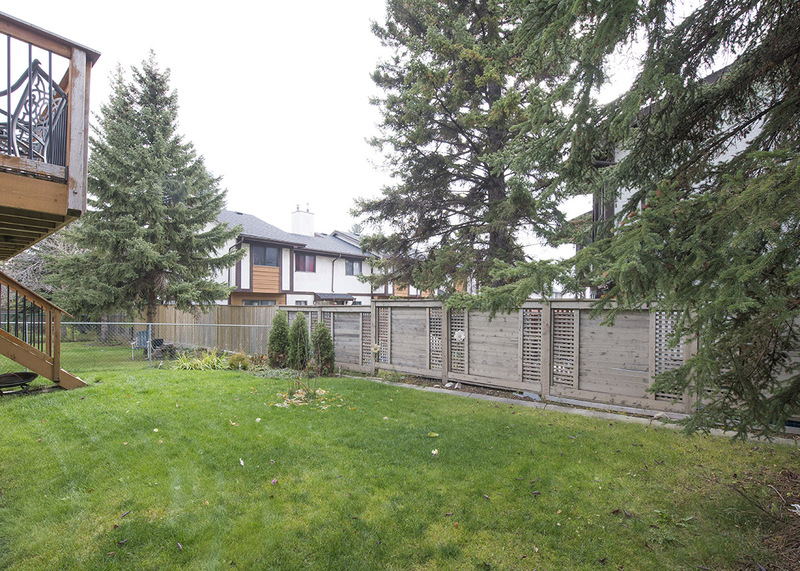 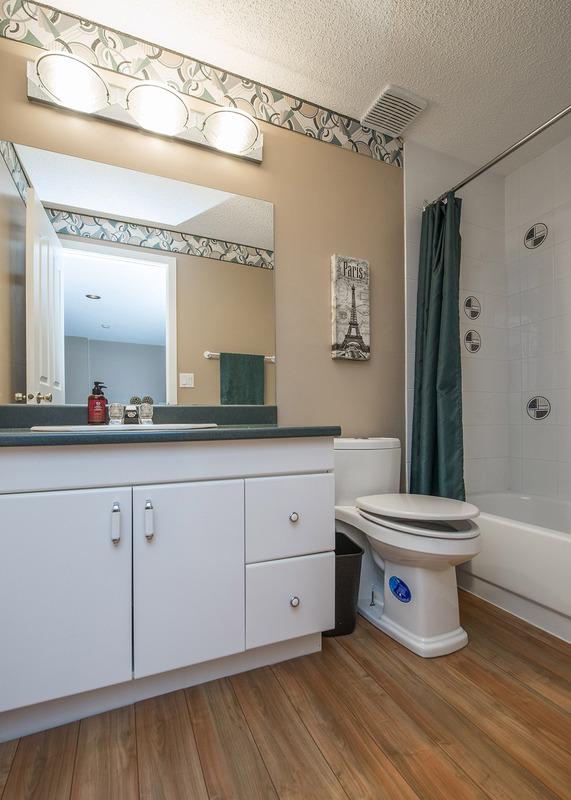 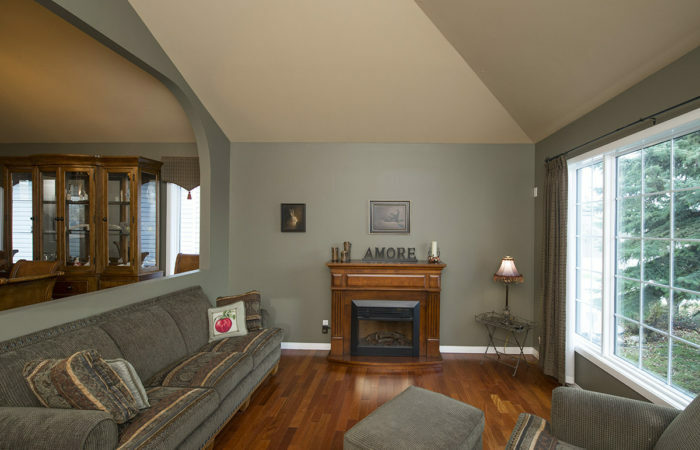 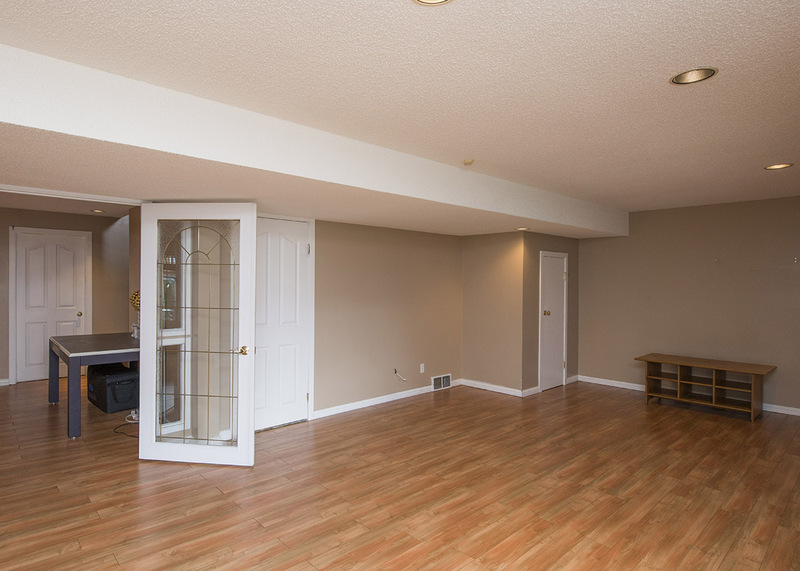 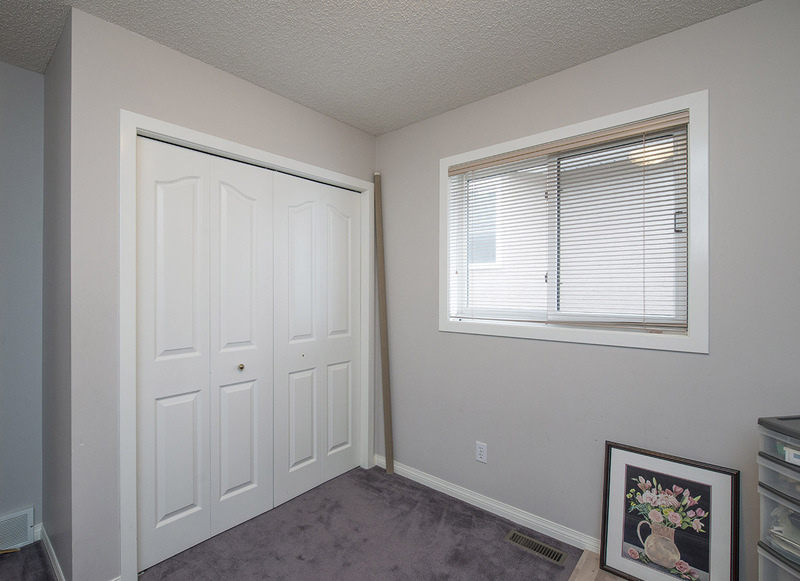 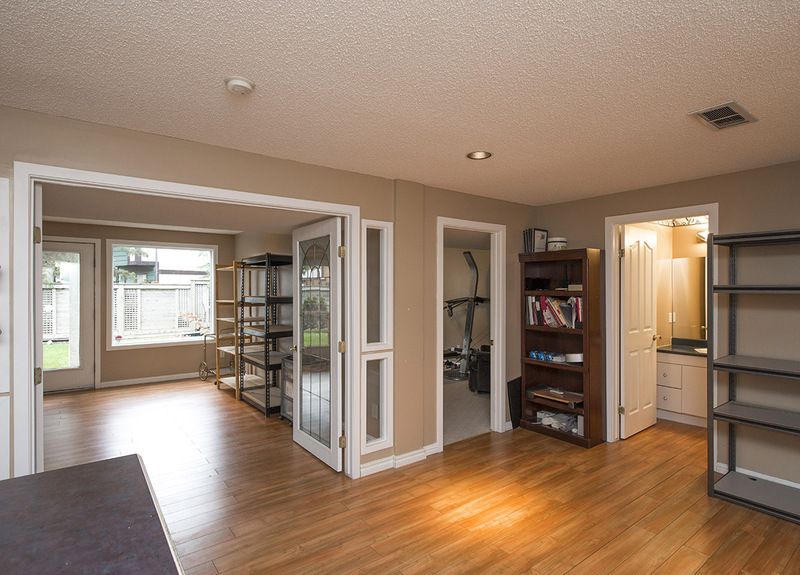 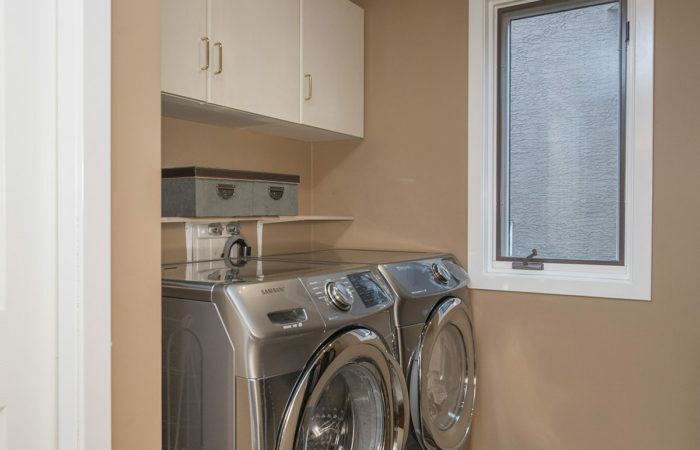 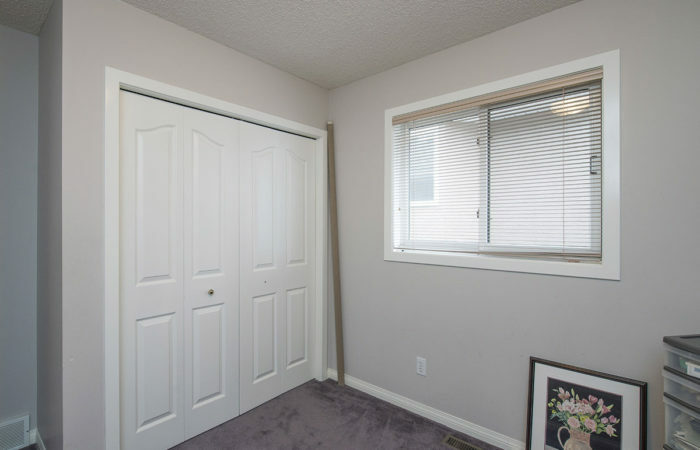 The sunny lower walk out level has durable laminate flooring, a 5th bdrm, 4 pce bath, workshop area plus so much storage!